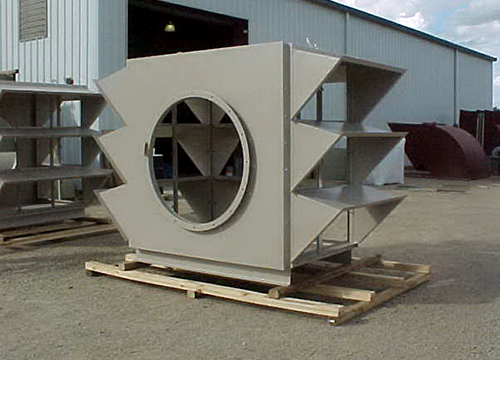 A fan radiates noise equally through its inlet and its discharge. 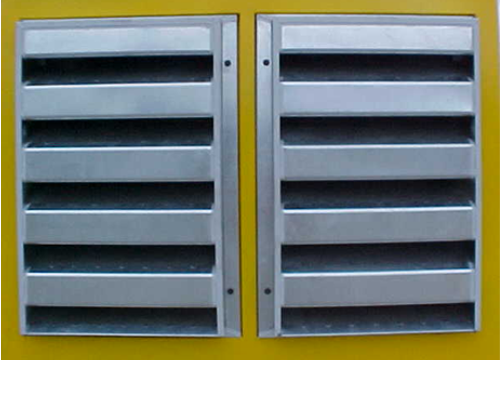 Usually either the inlet or outlet of the fan is connected to some sort of equipment which contains and/or absorbs the noise from that side of the fan. 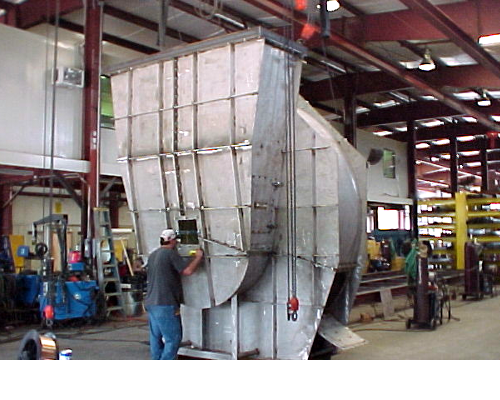 Normally only the inlet or discharge has to be silenced. 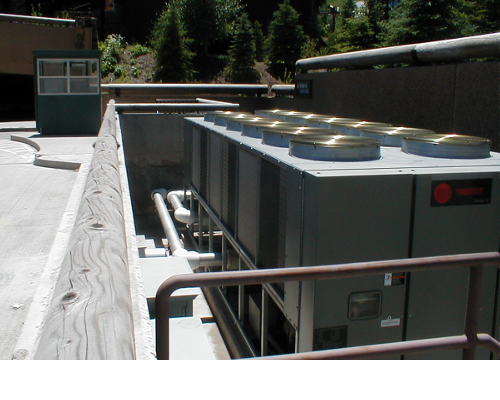 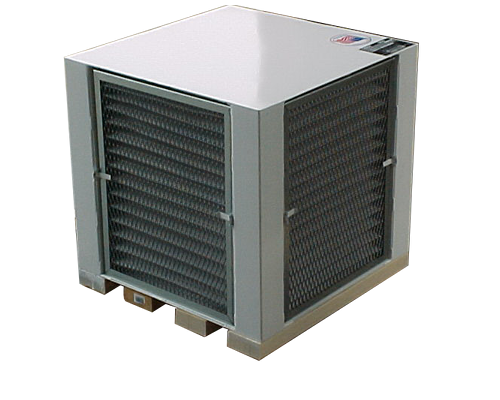 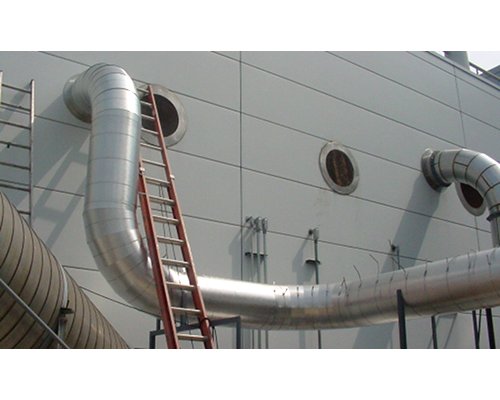 One exception is that type of air conditioning systems in which both the inlet and the discharge are ducted into occupied spaces. 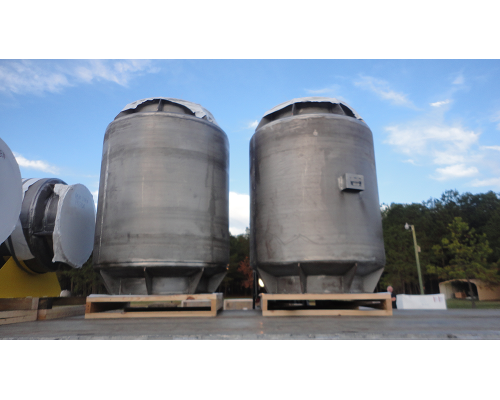 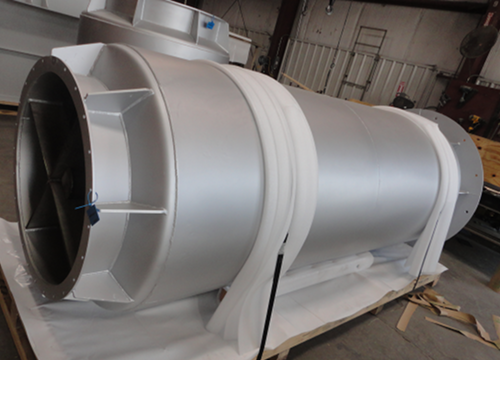 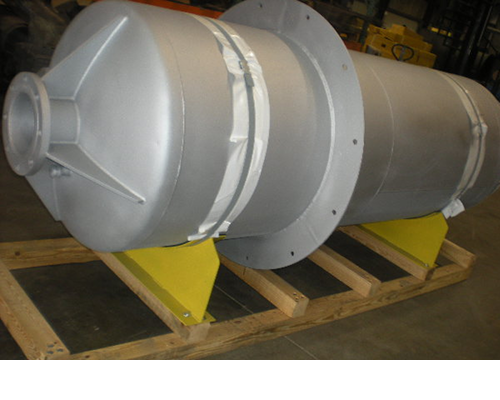 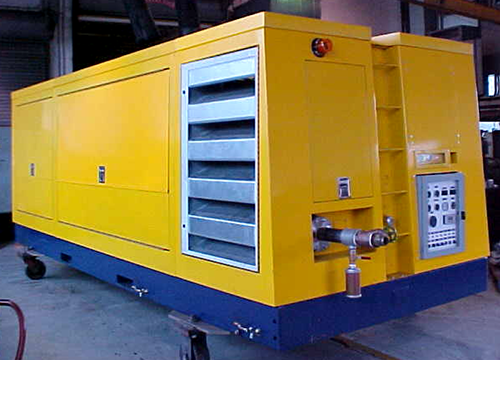 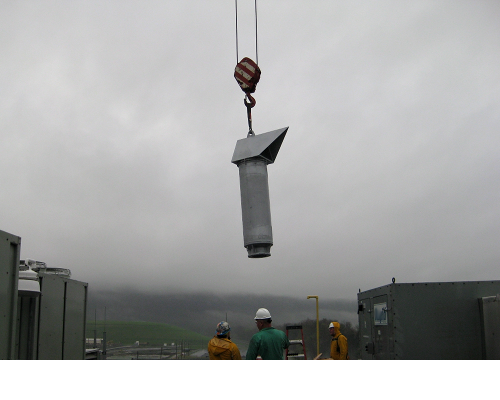 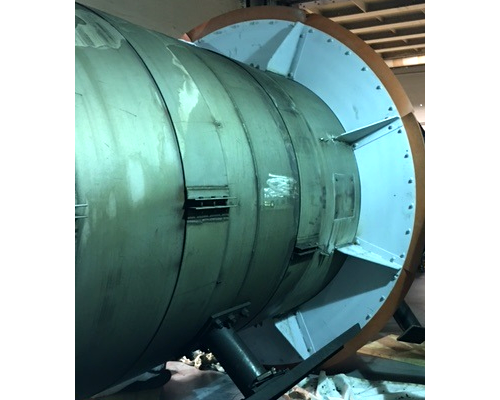 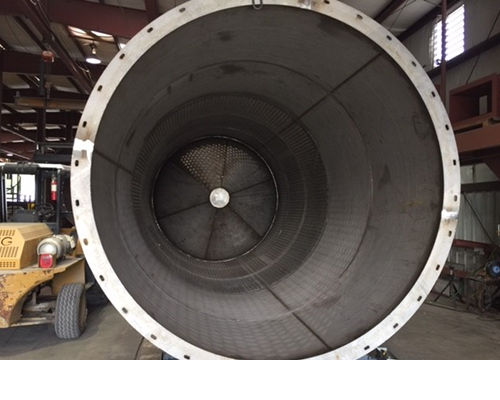 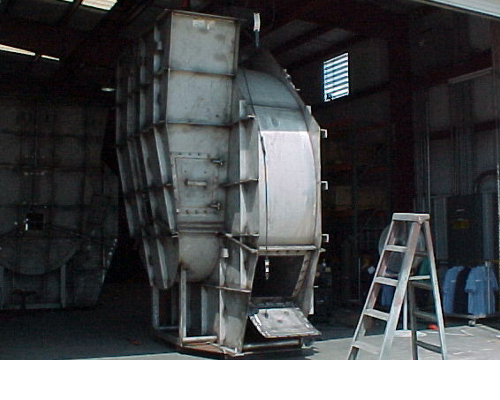 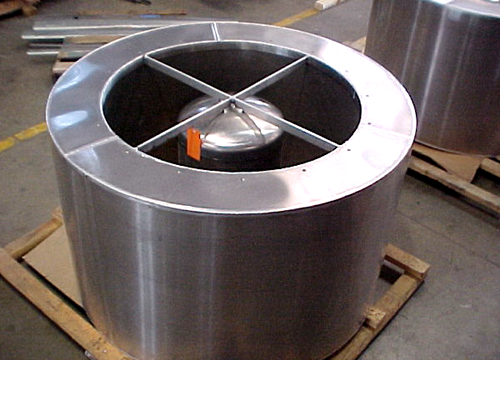 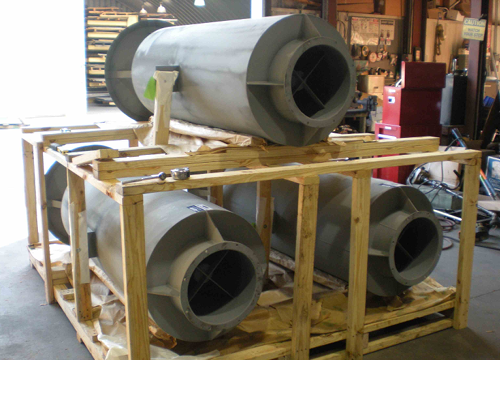 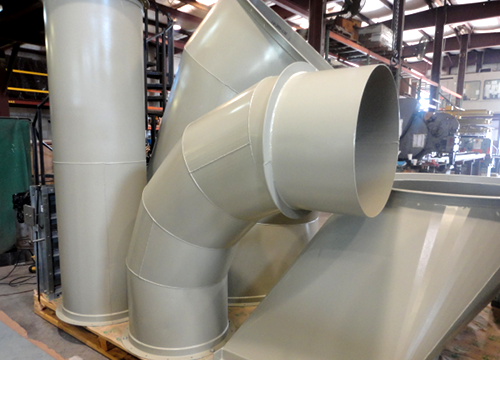 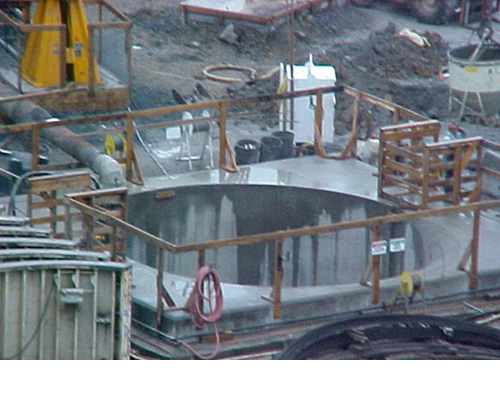 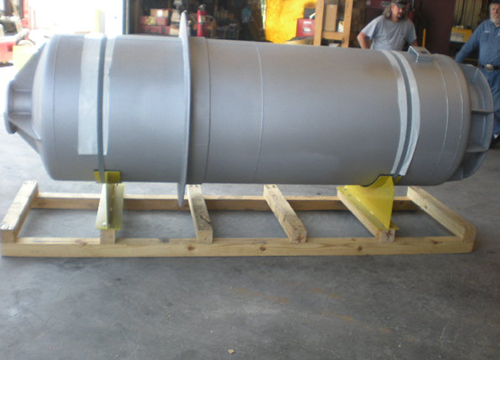 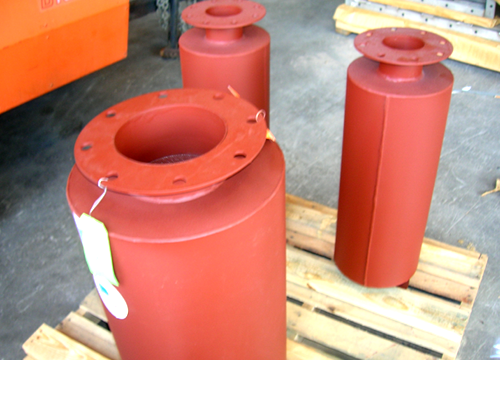 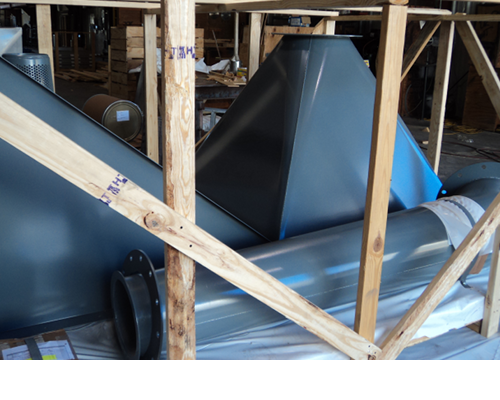 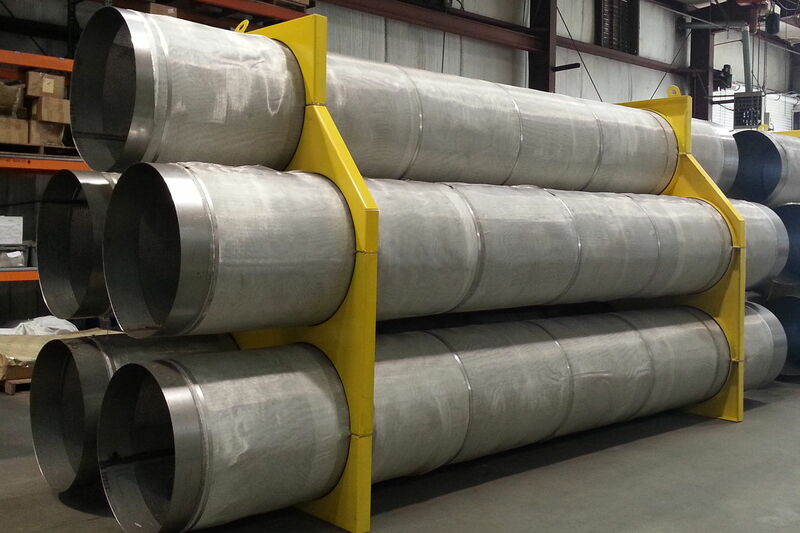 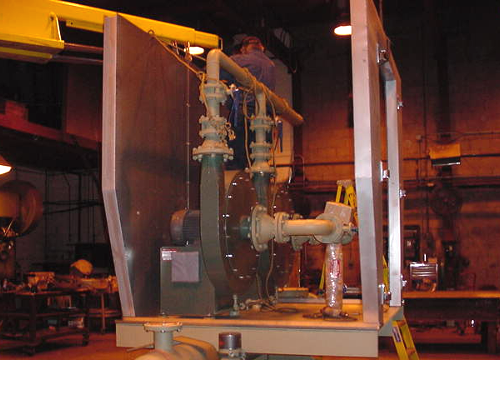 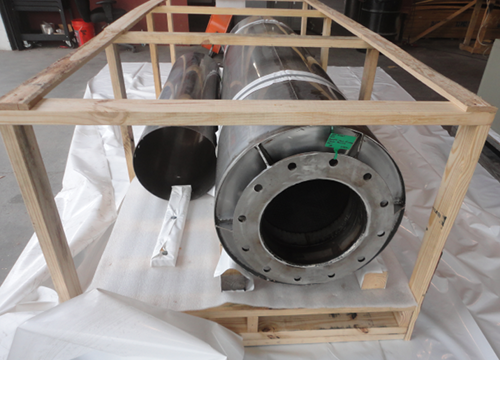 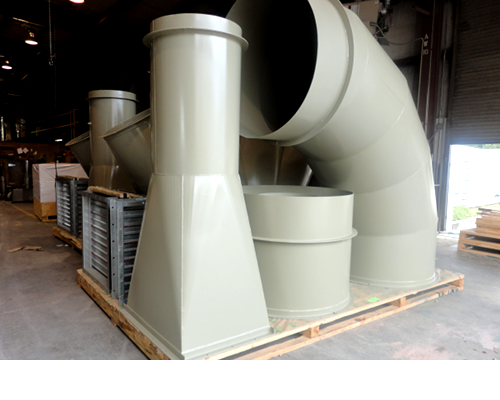 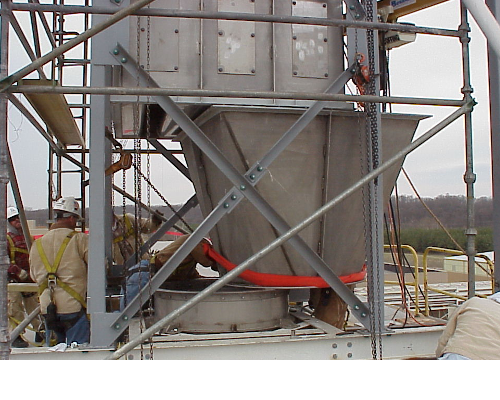 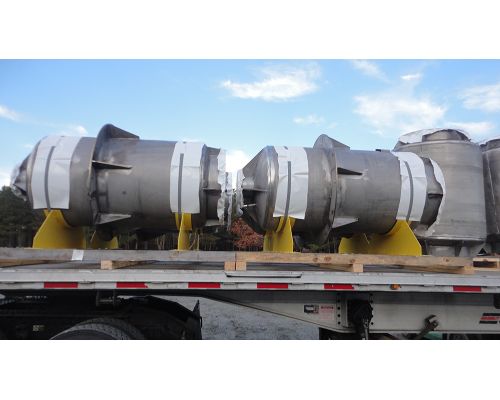 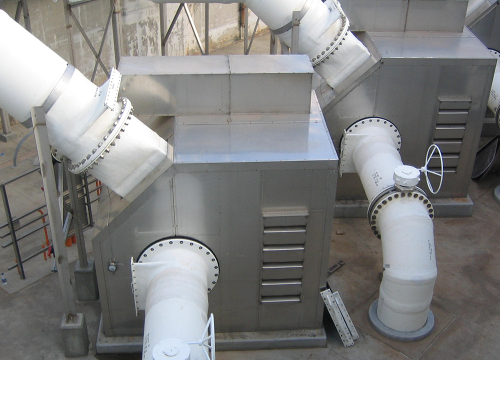 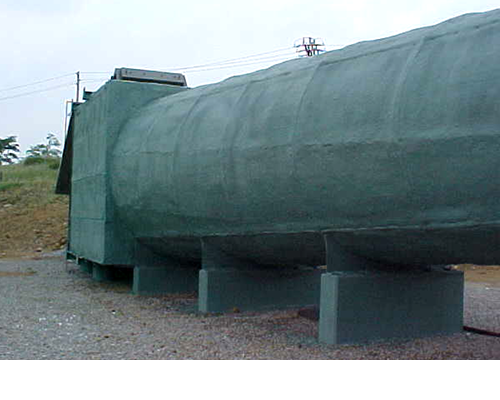 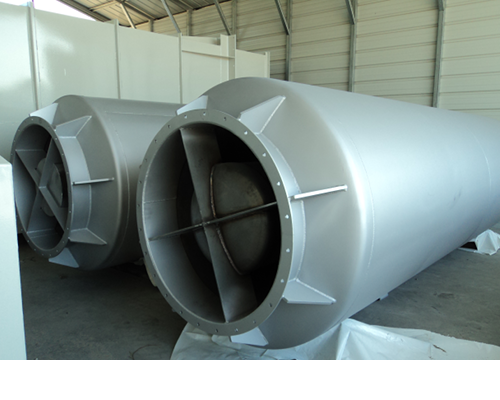 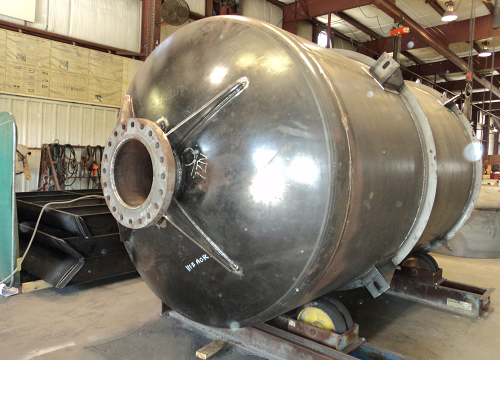 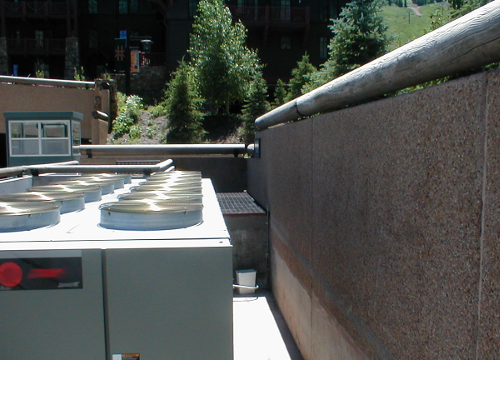 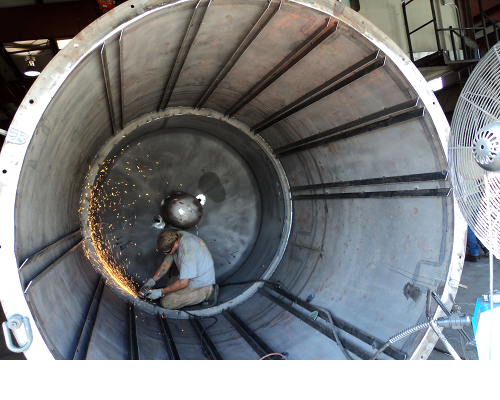 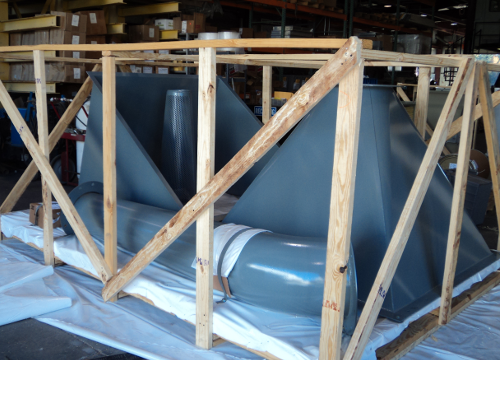 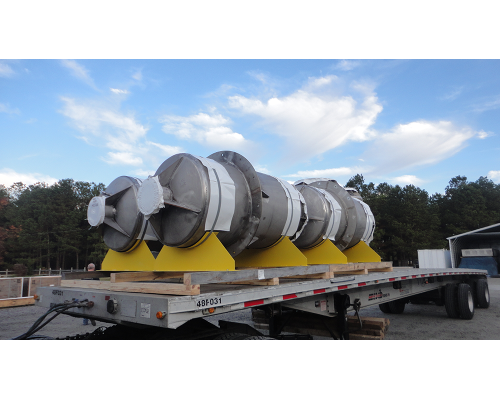 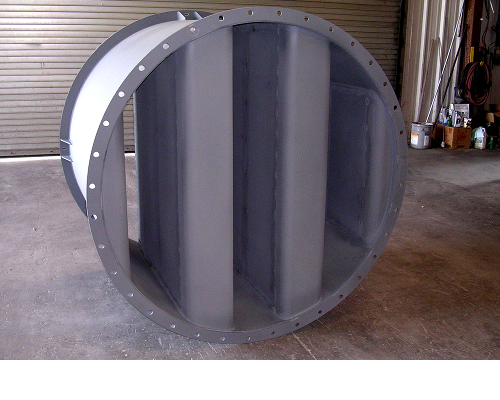 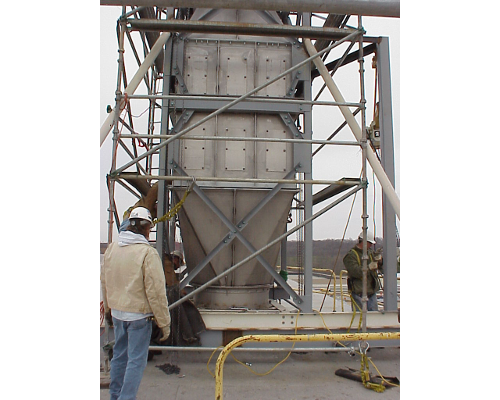 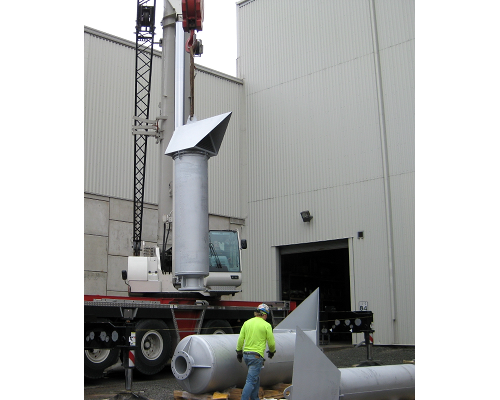 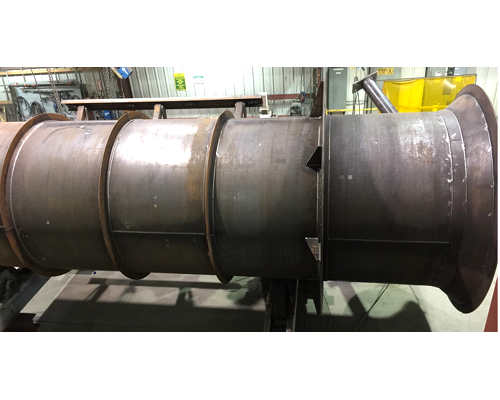 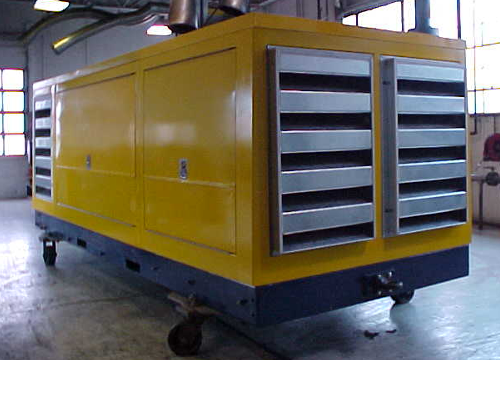 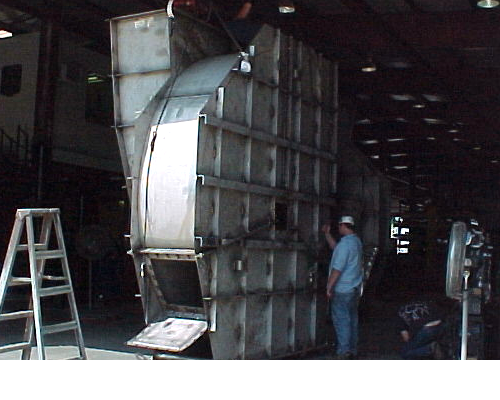 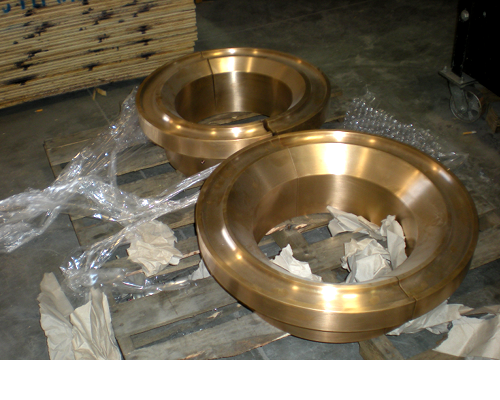 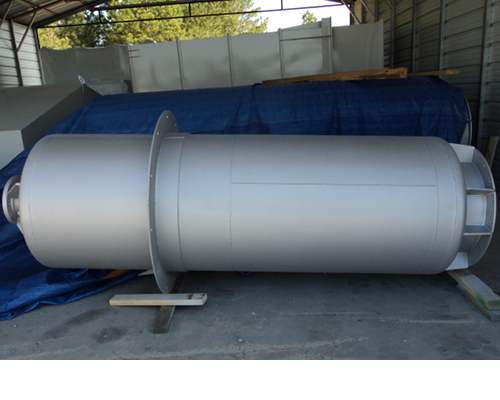 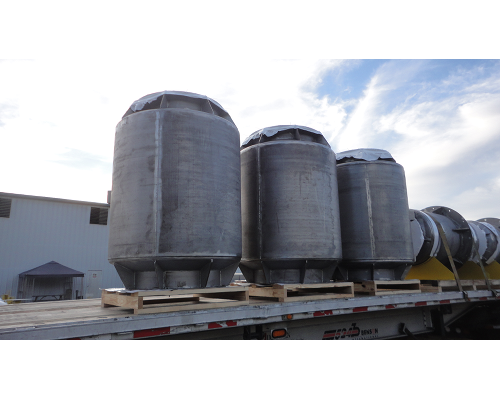 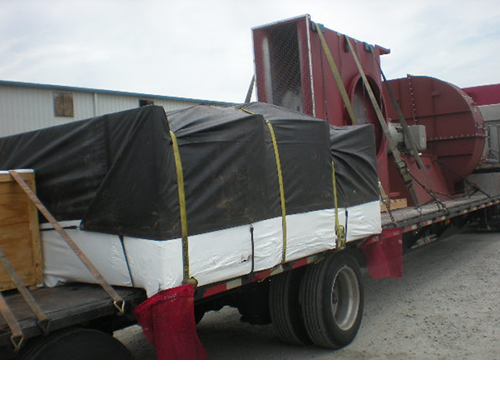 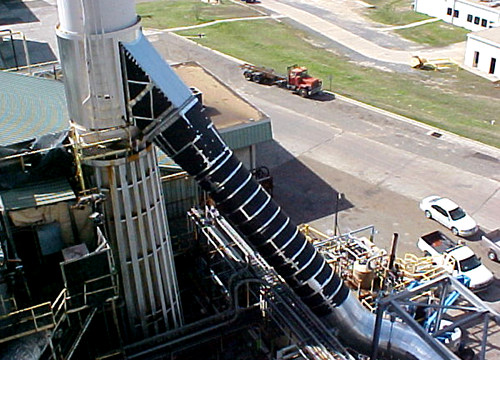 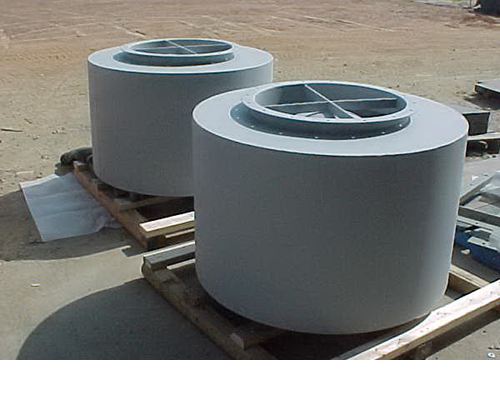 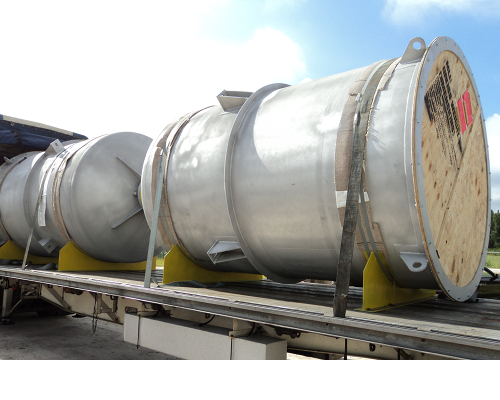 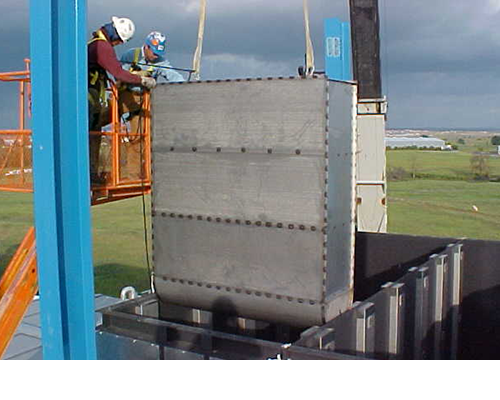 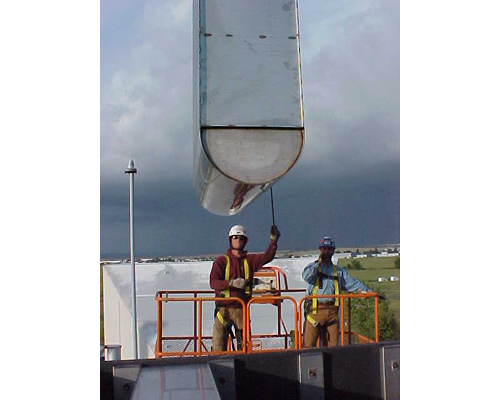 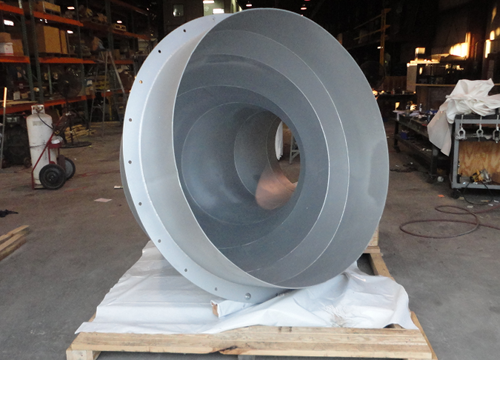 In these installations silencers are often required on both the inlet and discharge sides of the fan. 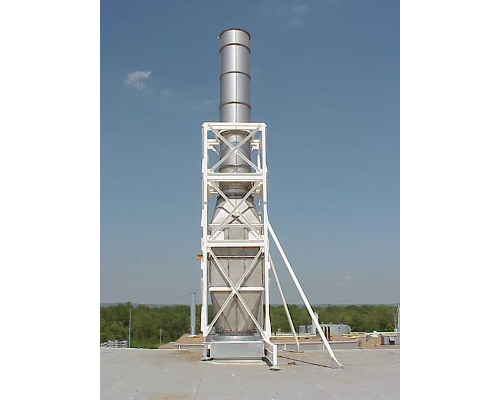 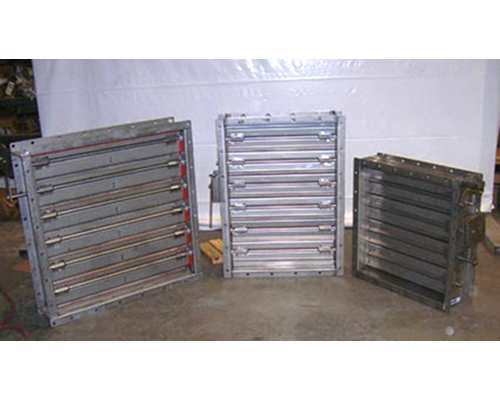 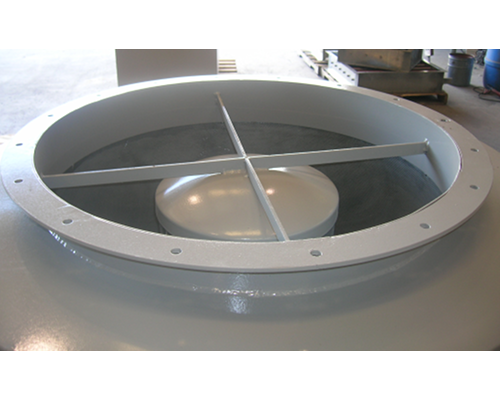 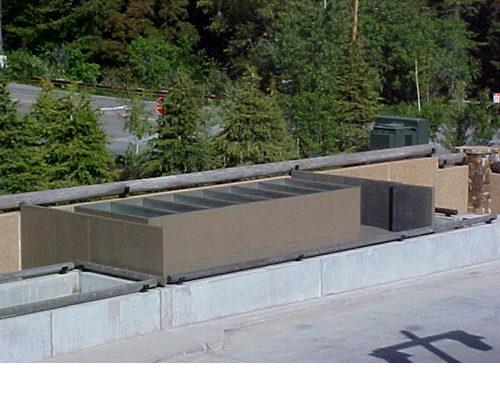 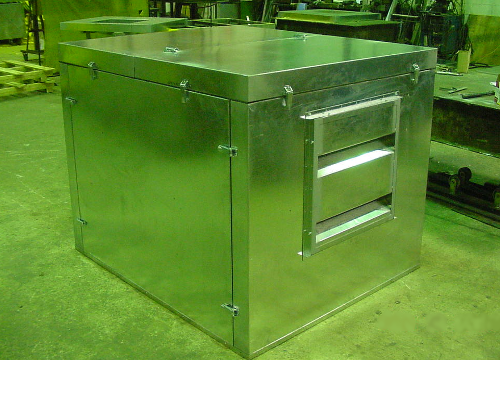 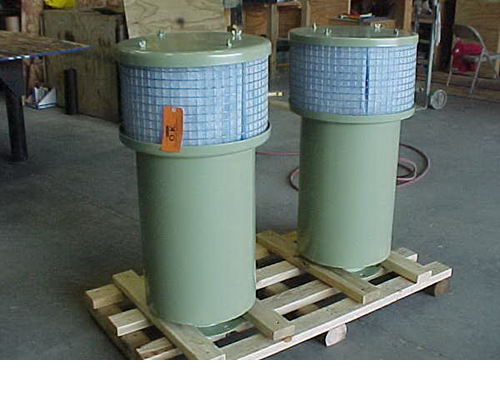 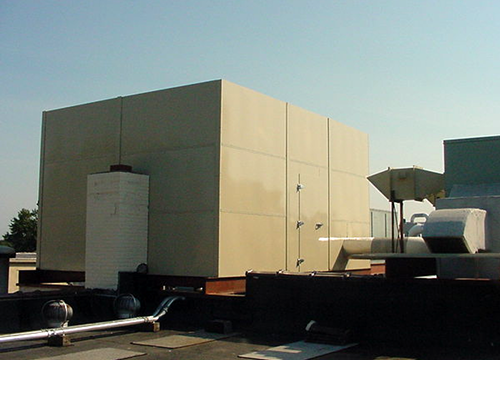 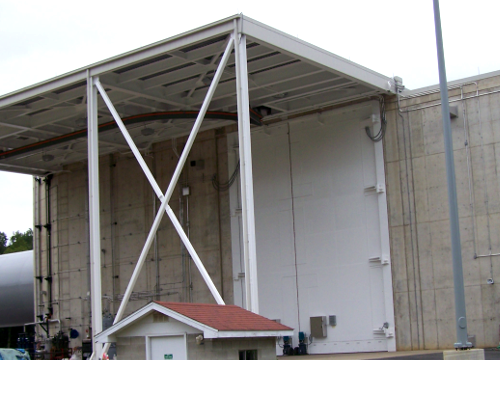 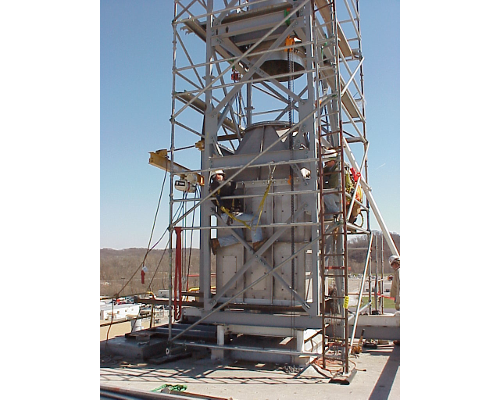 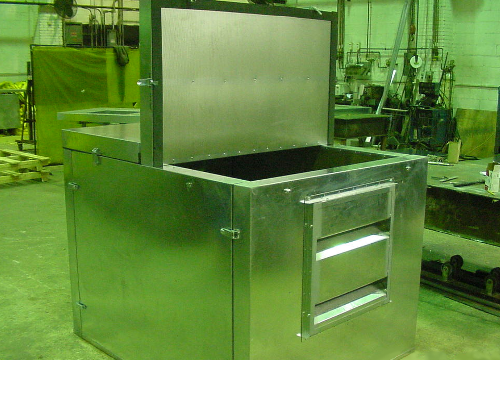 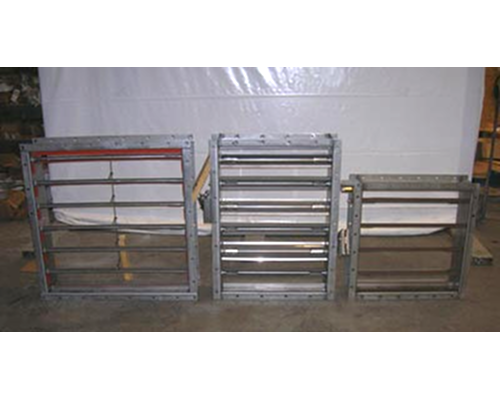 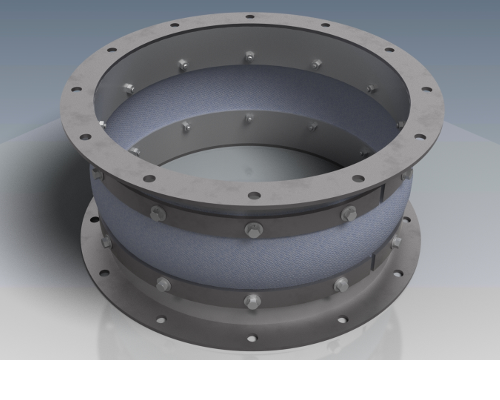 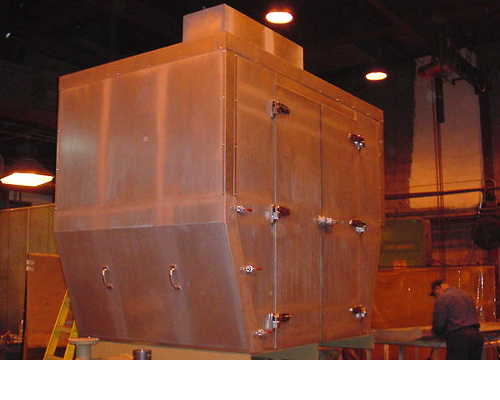 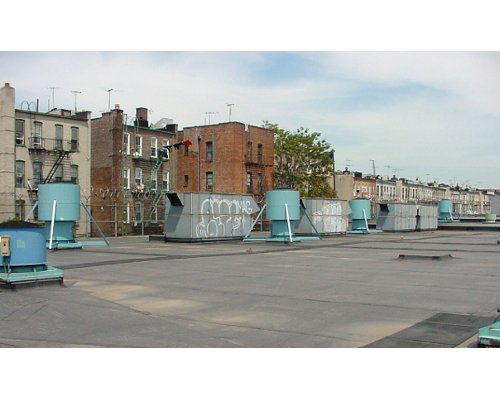 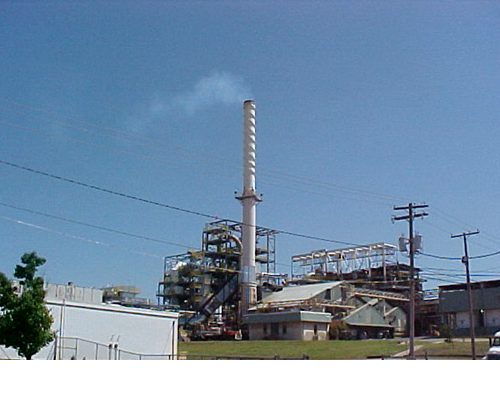 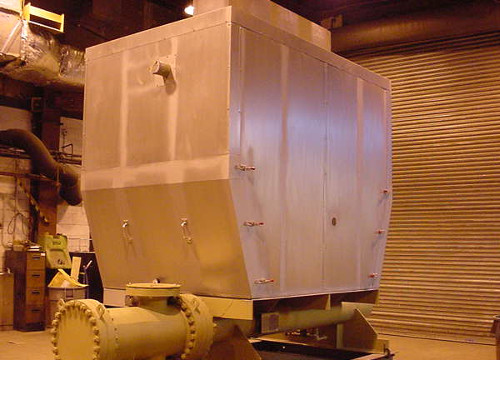 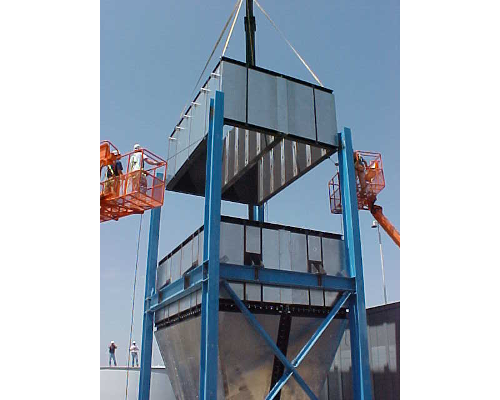 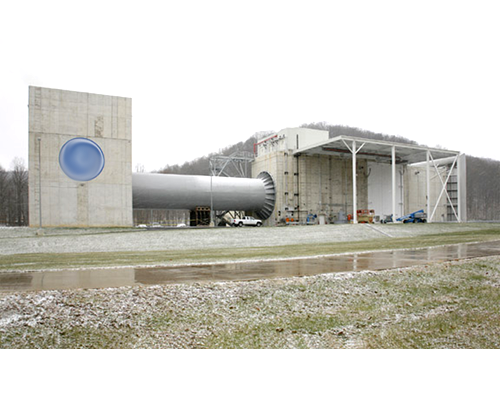 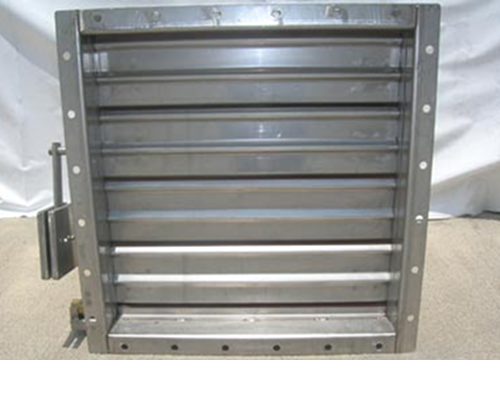 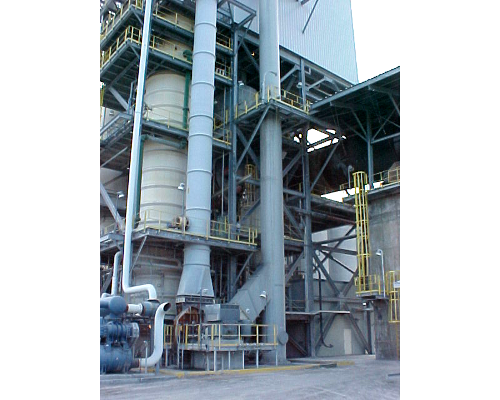 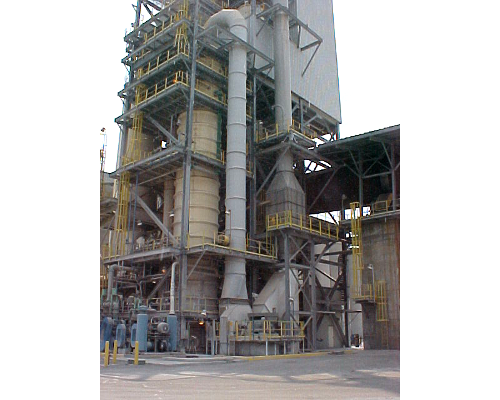 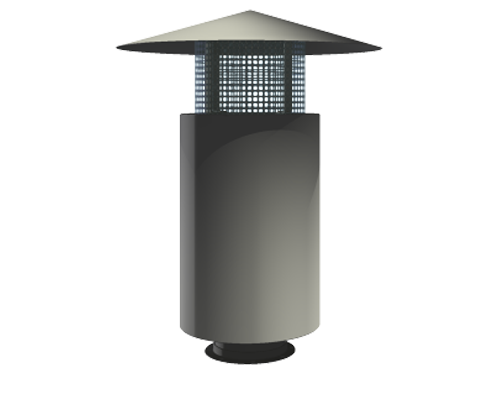 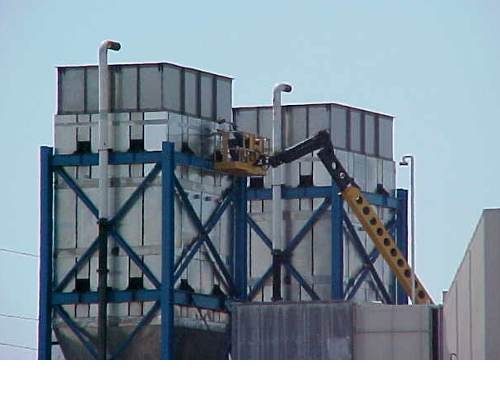 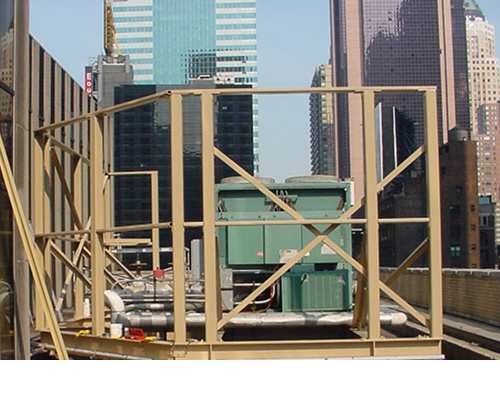 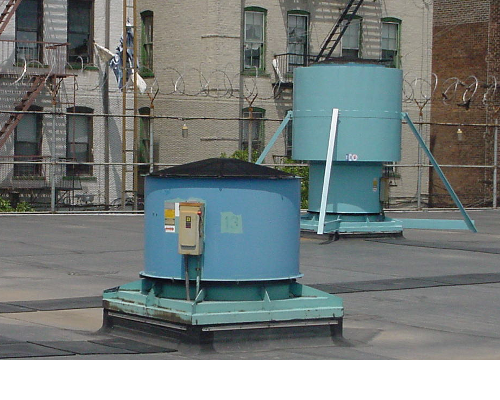 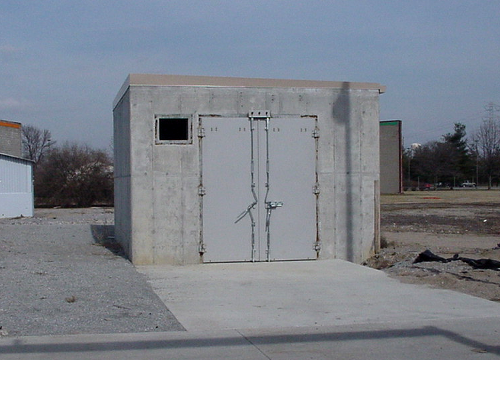 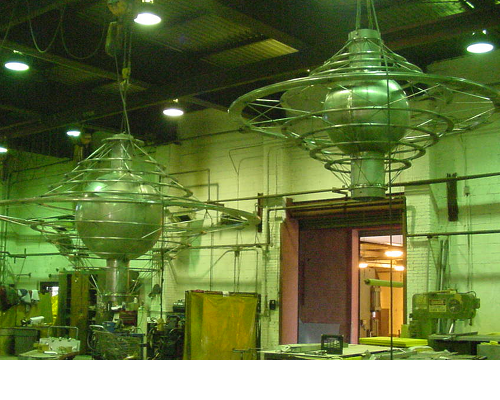 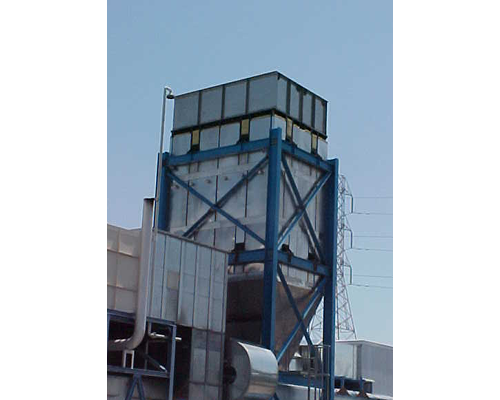 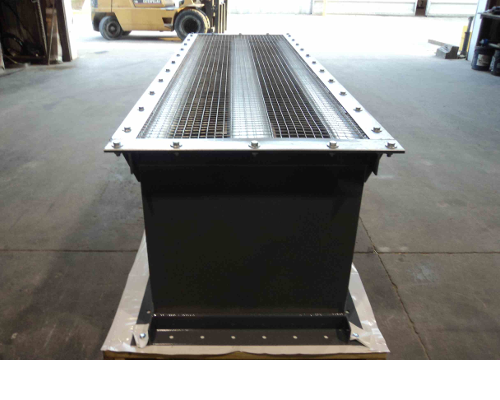 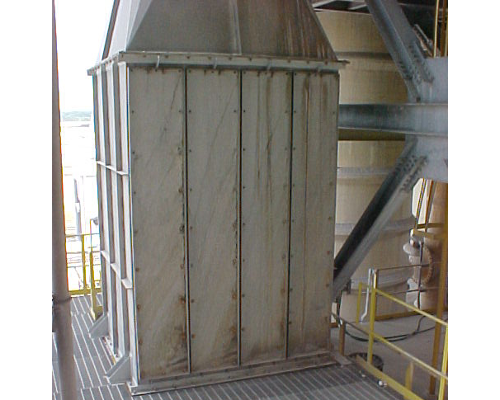 The Aeroacoustic Corporation offers a line of Industrial Dampers. 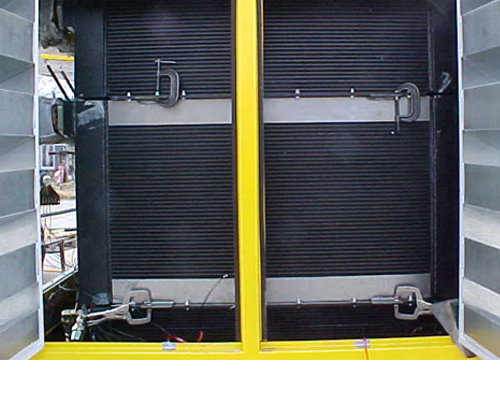 Select from 3 styles: Volume Control, Backdraft and CO2 Trip Dampers and customize their sizes to suit your application. 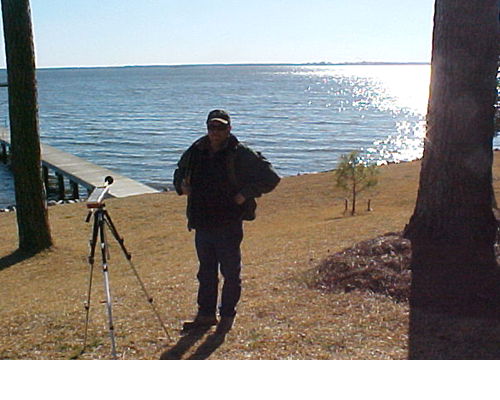 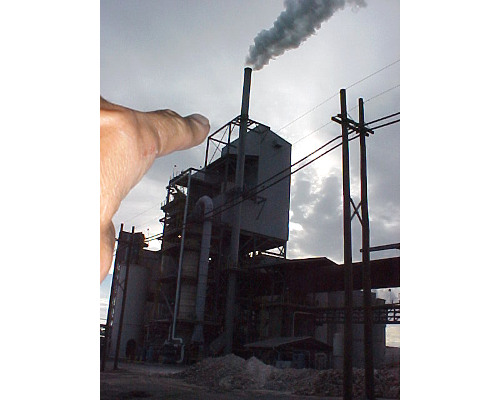 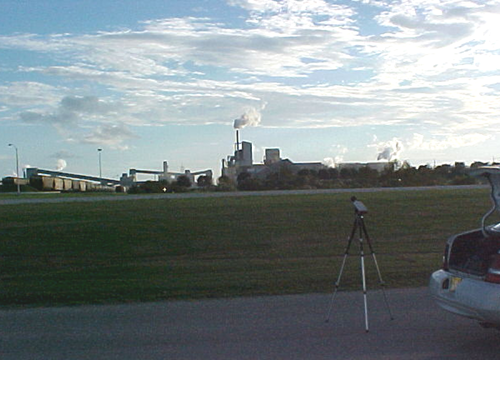 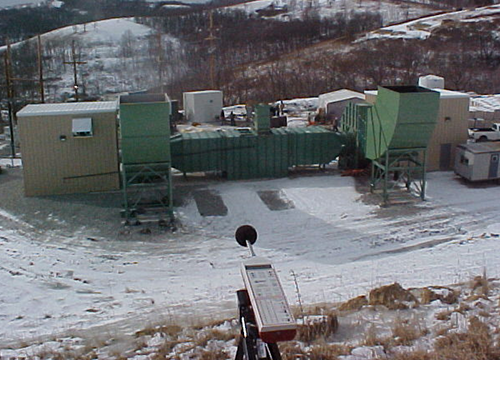 Be it a rural or urban setting, noisy equipment is an issue. 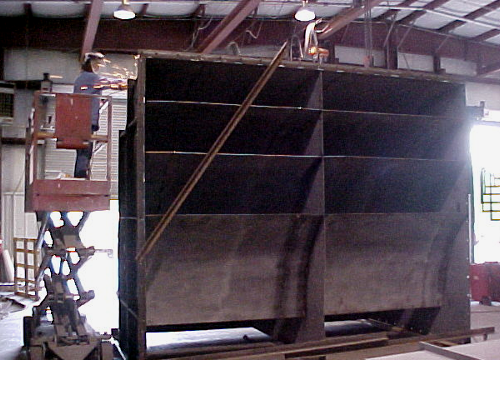 You may need to meet a noise ordinance, regulation or just want to be a good neighbor. 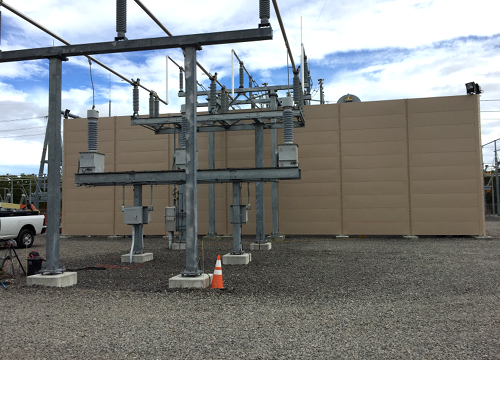 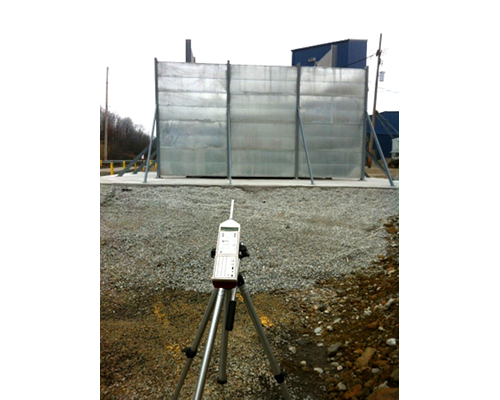 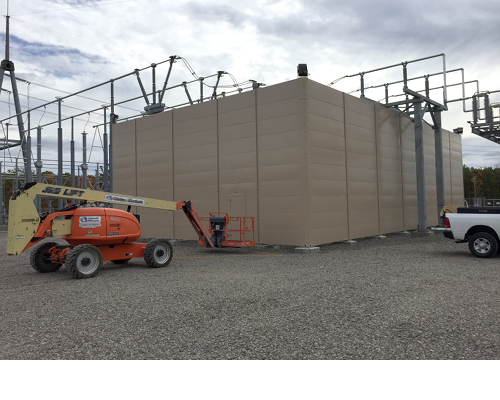 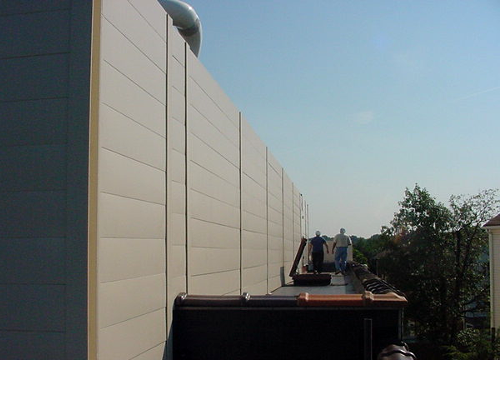 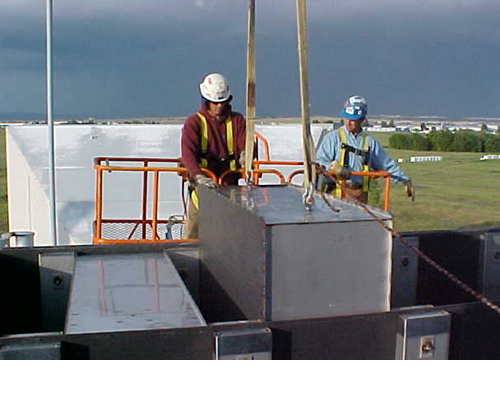 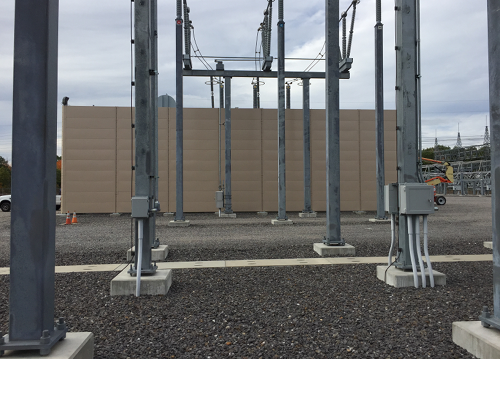 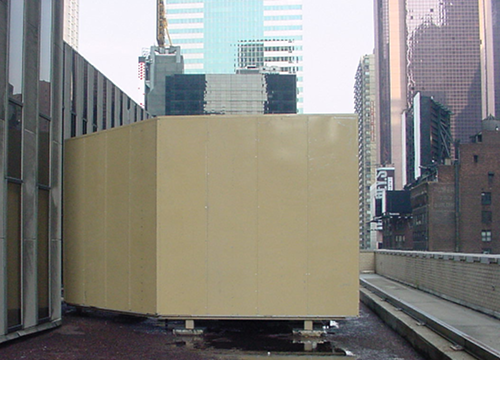 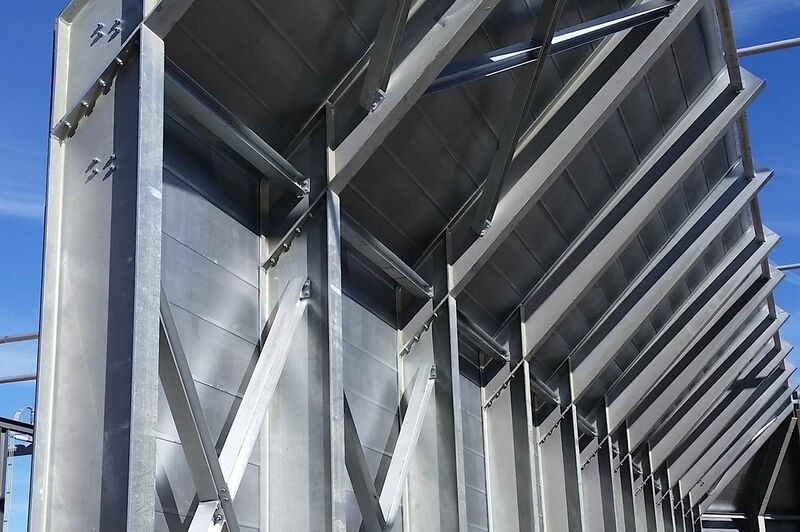 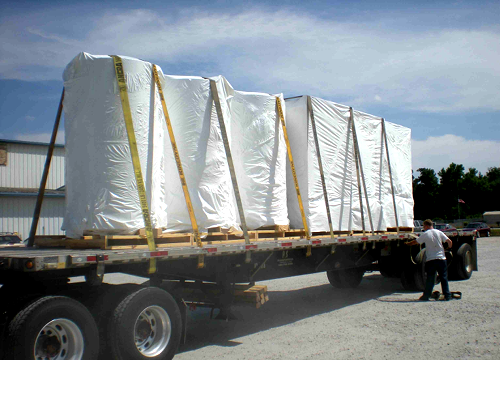 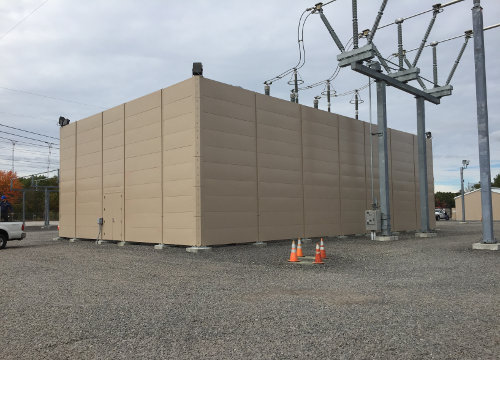 The use of an acoustical barrier is an effective solution to reduce the noise level at the receiver without interfering with equipment operation. 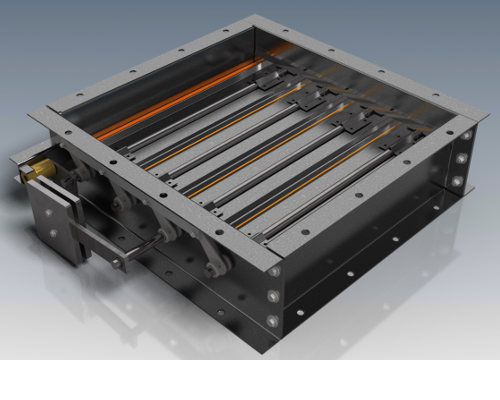 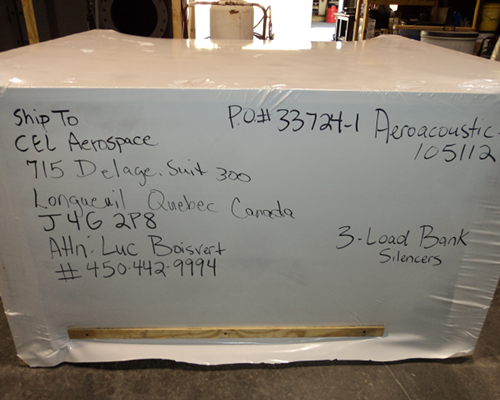 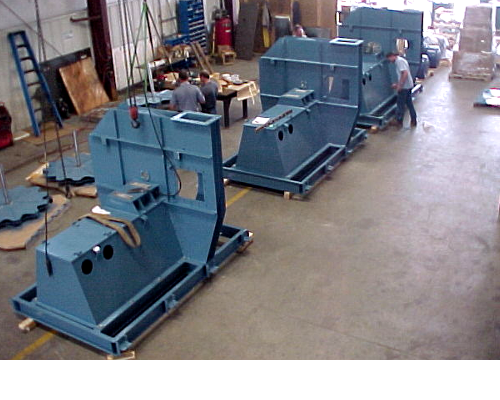 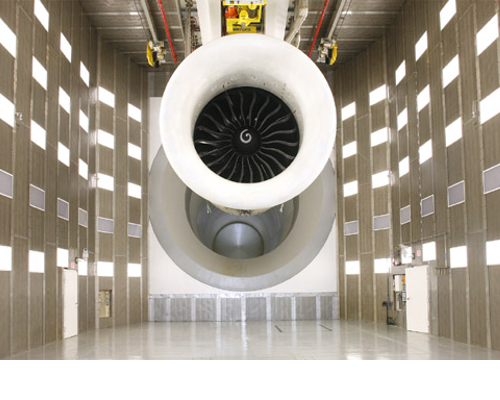 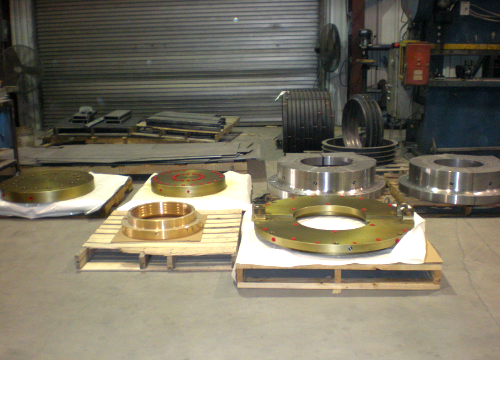 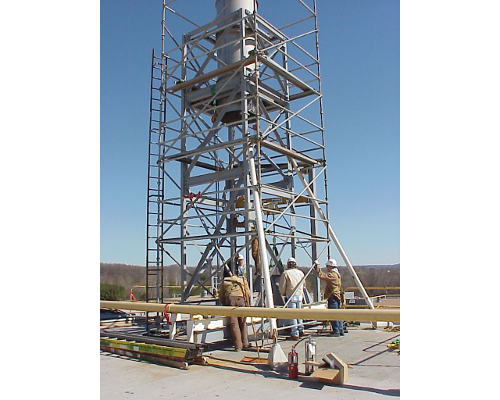 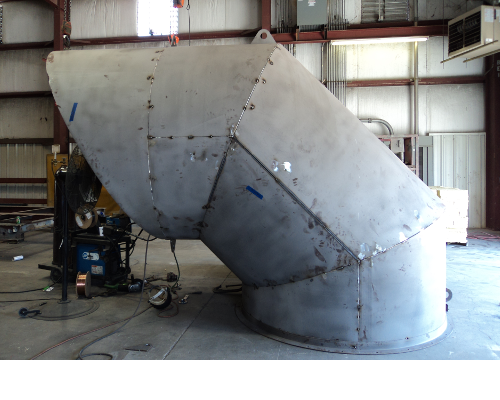 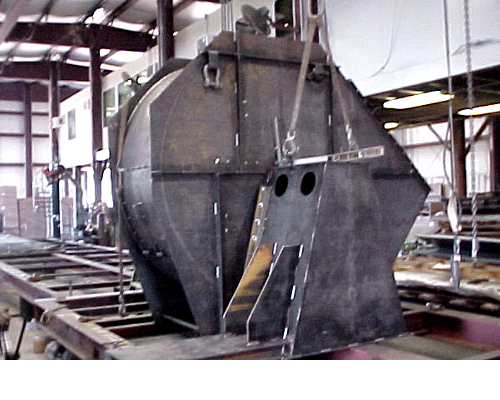 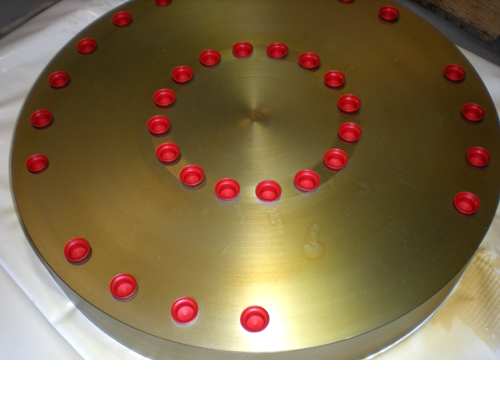 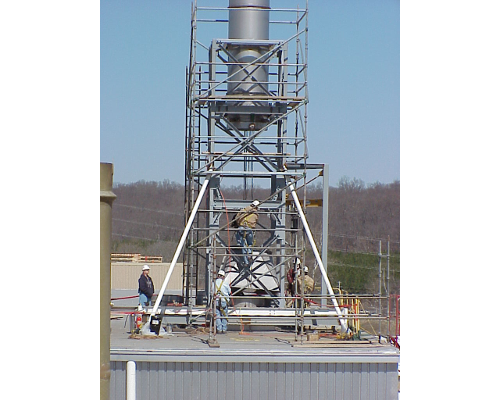 Here at The Aeroacoustic Corporation we have an engineered solution to meet your requirements. 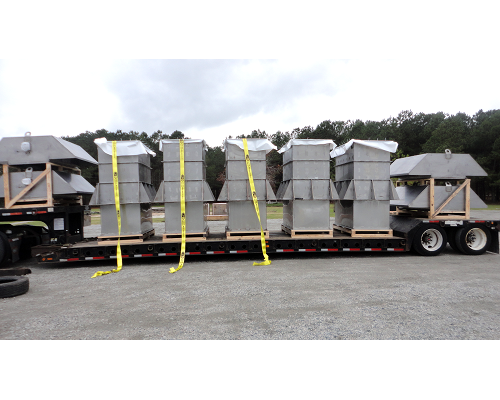 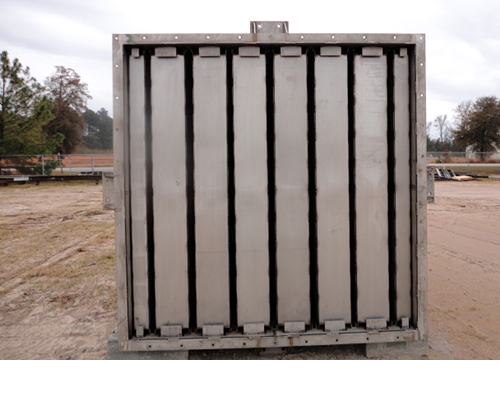 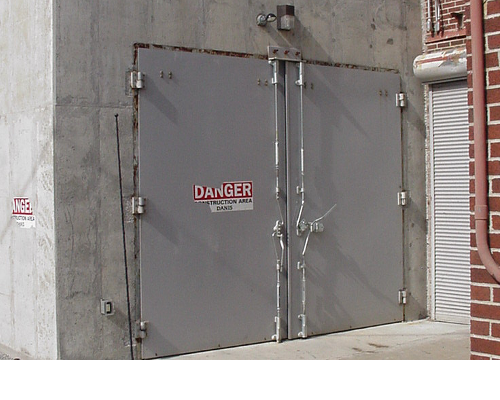 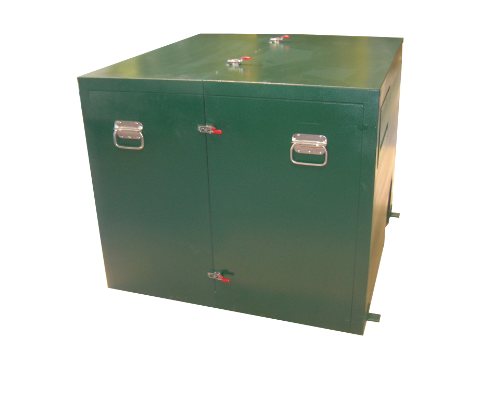 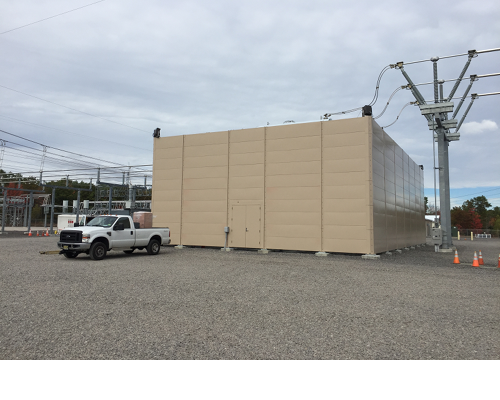 These heavy steel plate Jet Engine/Turbine Blast Doors are available in a variety of sizes and configurations: single hinge, double hinge, four point locking arrangement with sound proof drop bladder, bottom seals eliminate the need for a sill plate for smooth forklift entrance and egress. 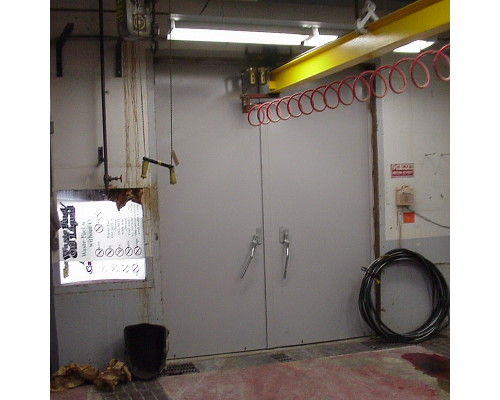 Locking assemblies are mounted outside the door for ease of maintenance and adjustment. 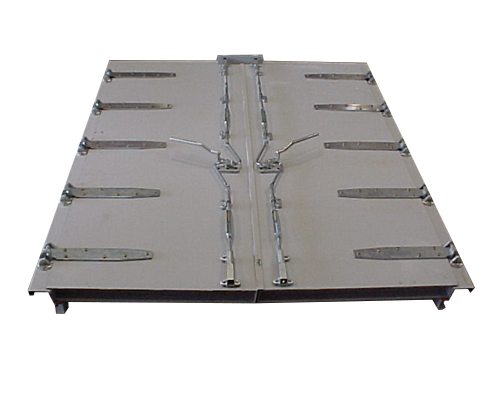 Self-Lubricated Strap Hinges are standard, and Continuous Hinges are available for special applications. 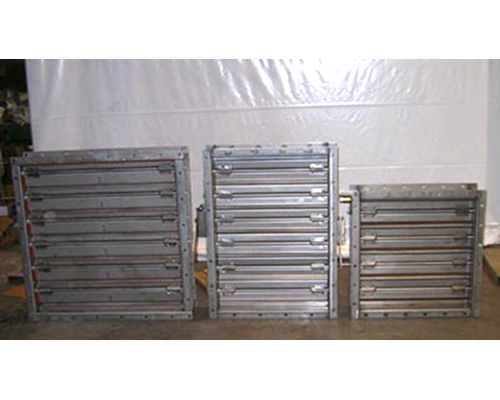 Impact resistant double pane windows are available upon customer request. 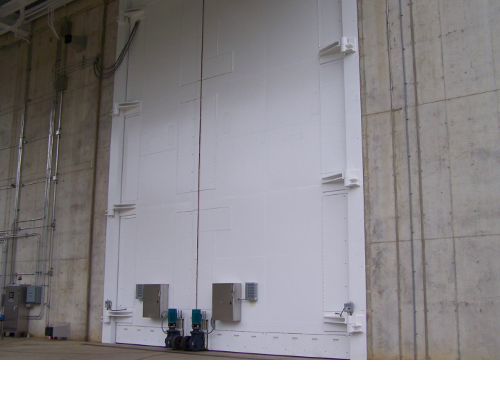 This series of single and double acoustic doors comes with pre-fitted door bucks in a variety of thicknesses and configurations. 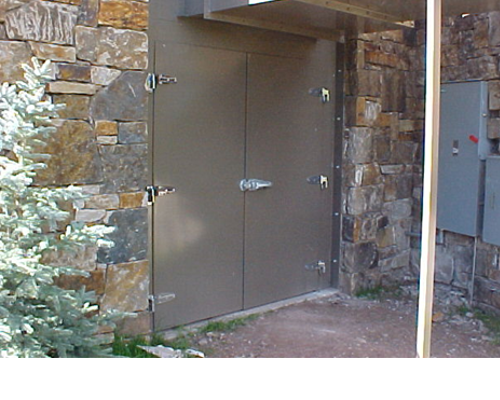 Accessories include panic bars, locking devices, alarms and sound proof windows. 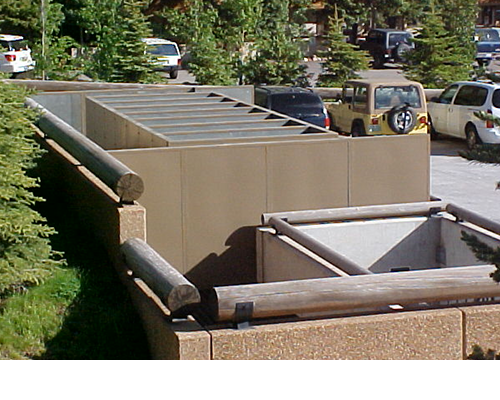 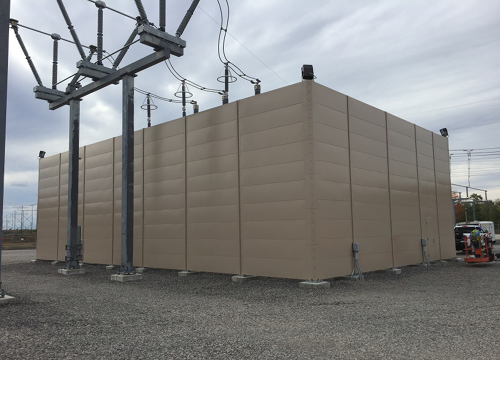 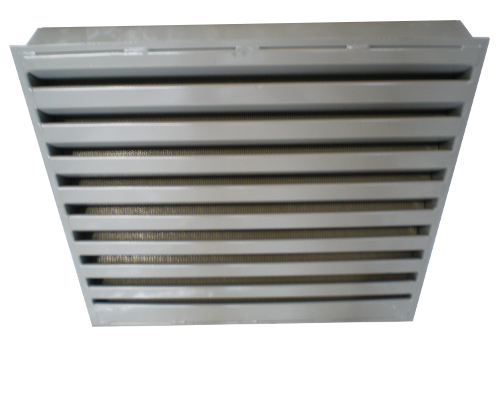 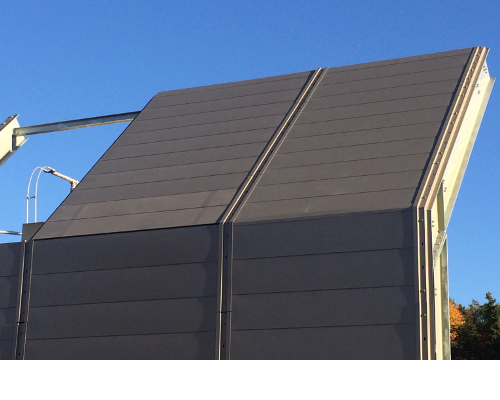 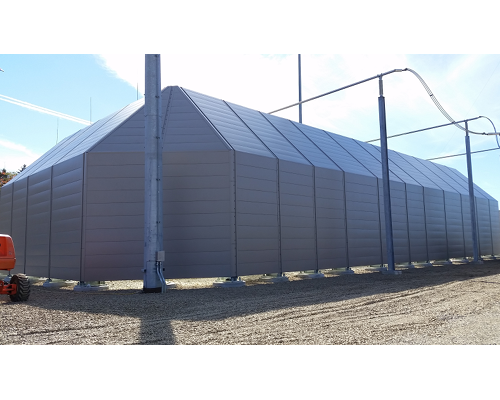 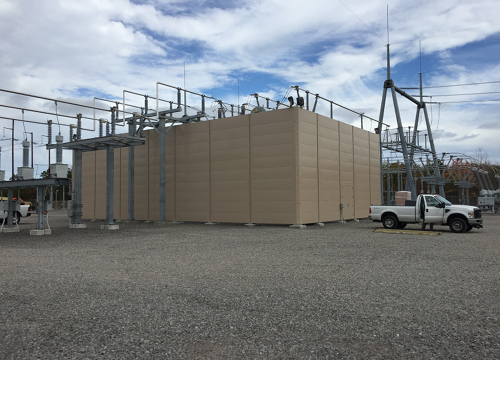 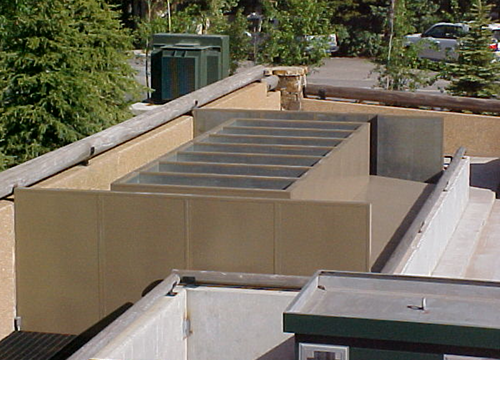 These acoustic louvers provide the maximum noise reduction obtainable in a short depth while still giving an effective combination of privacy and weather protection. 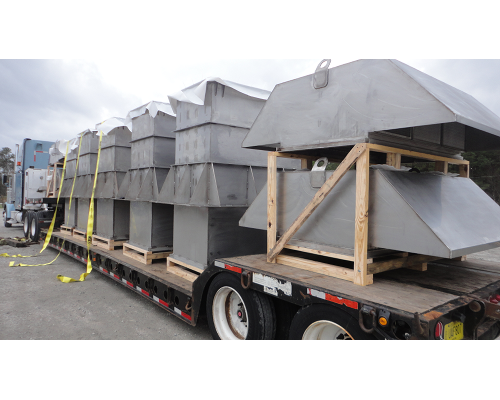 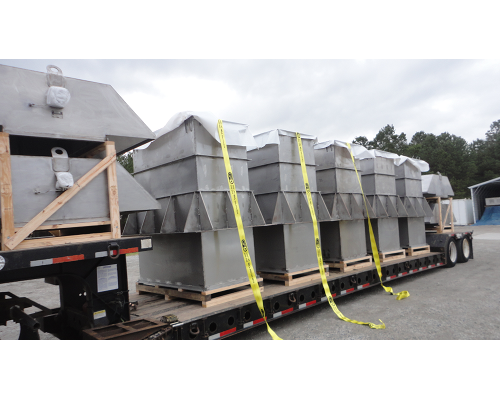 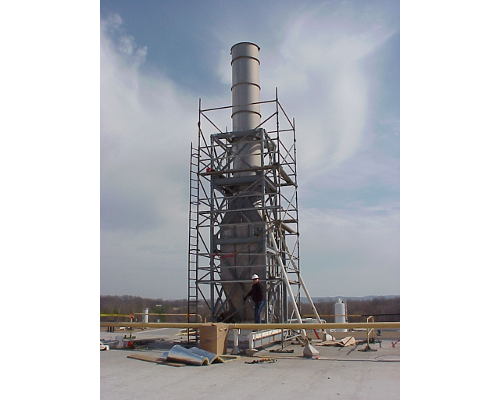 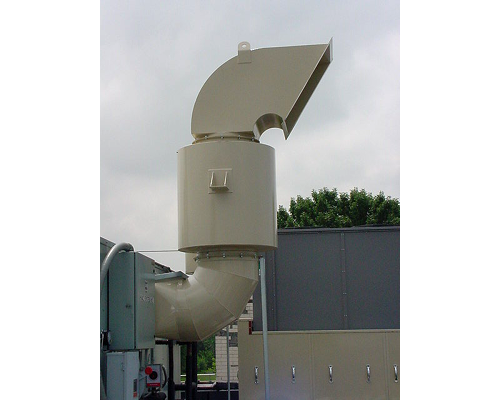 Designed for a variety of applications, they are used in installations such as process air intakes, fresh air intakes for ventilation systems, mechanical equipment screens, cooling tower inlets, etc. 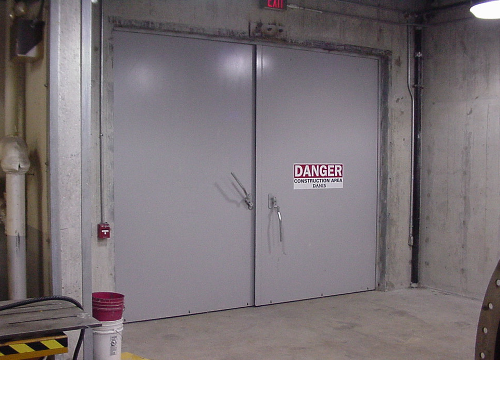 The above shown acoustic louver doors swing in so that they do not obstruct corridor traffic. 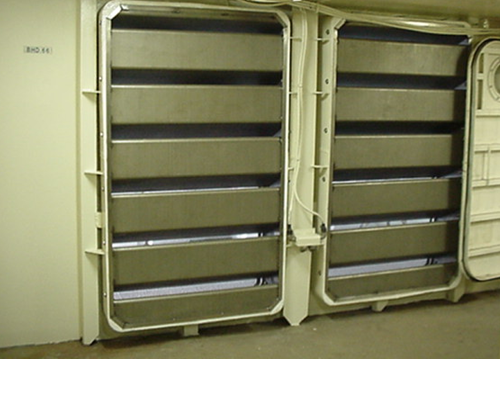 They help allow the engine room to breath freely and significantly reduce excessive sound energy into personnel corridor. 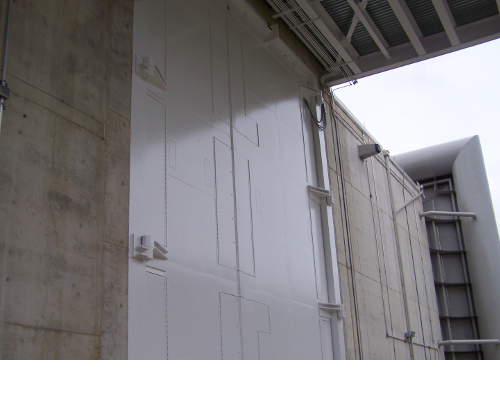 This series of acoustic louver doors are completely at home in a wet wash down environment. 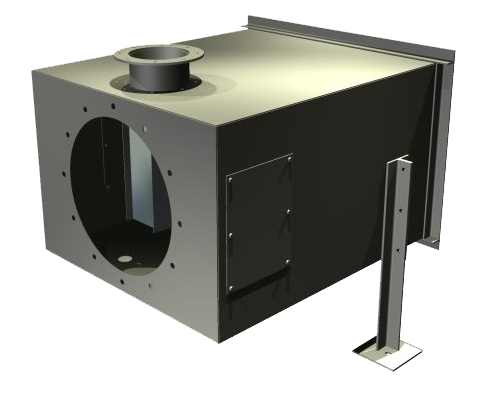 The "Silentflow" Model IB inlet silencer features an internal configuration designed so that the silencer exit matches the fan inlet box. 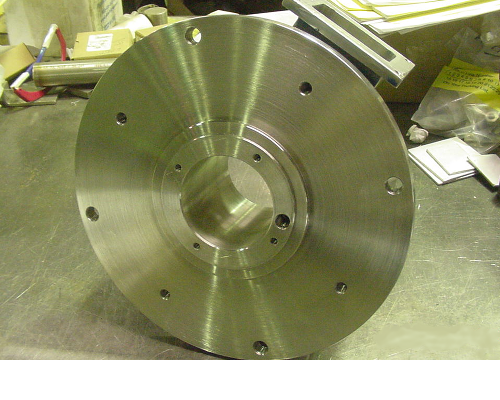 The silencer's discharge flange is customized to fit the fan's inlet box bolt pattern, eliminating the need for a separate transition piece. 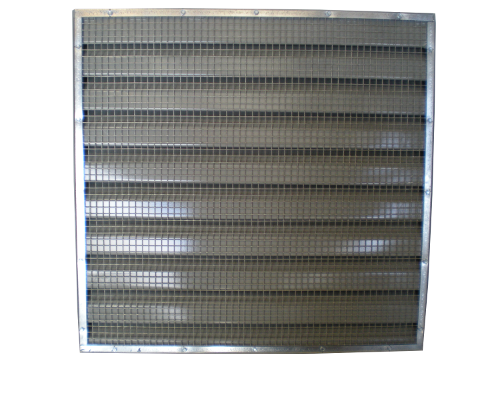 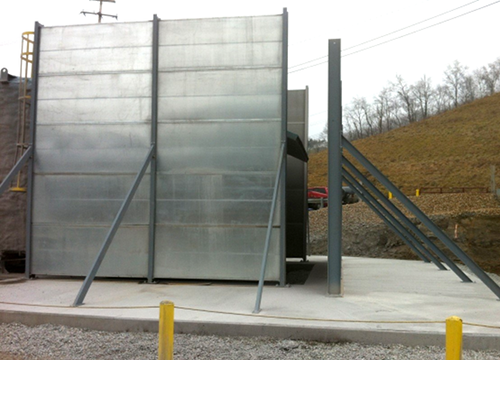 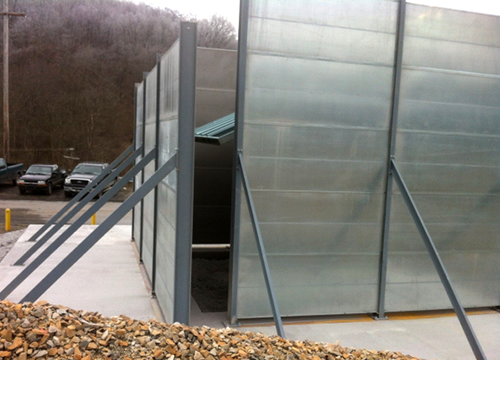 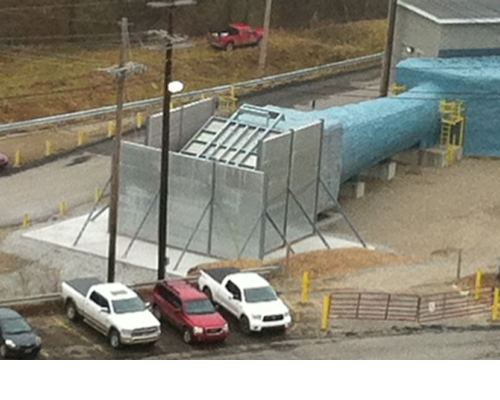 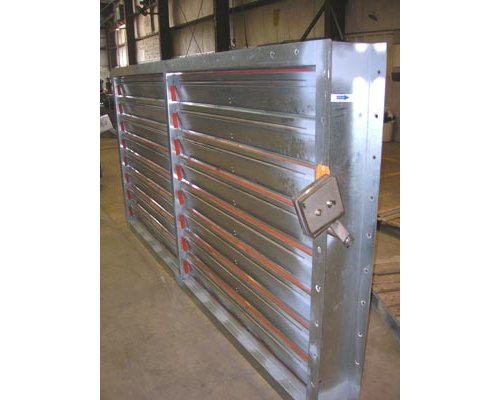 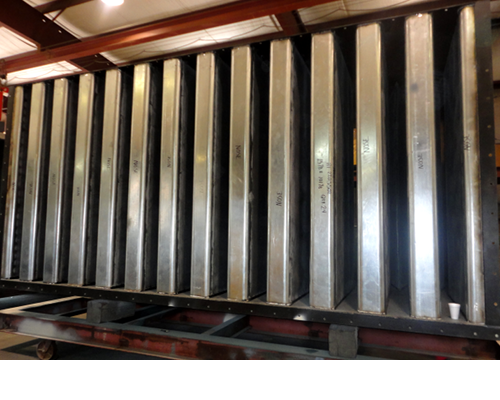 A 1" x 1" galvanized mesh inlet screen is included at no additional cost. 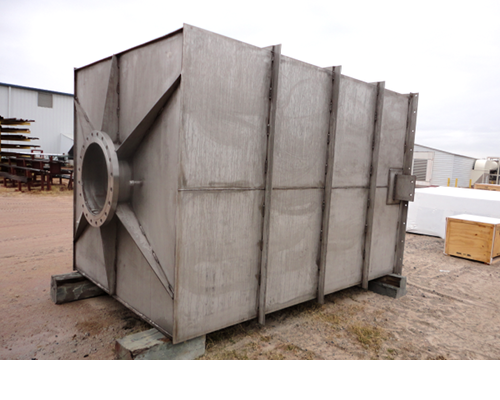 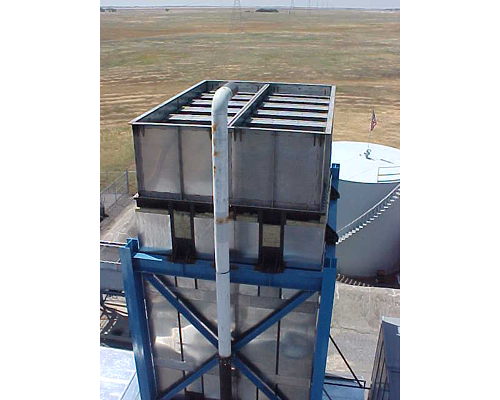 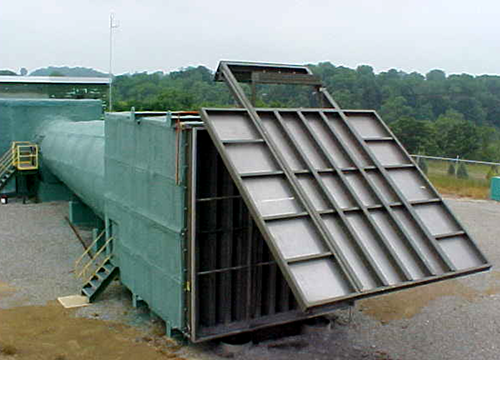 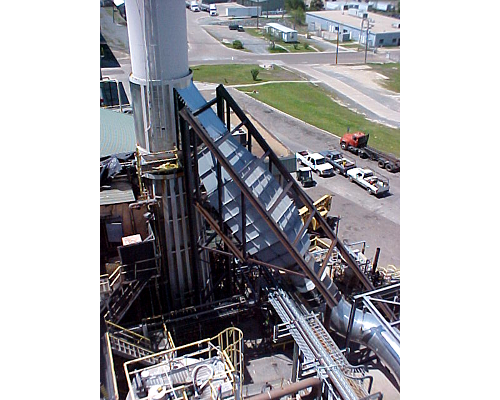 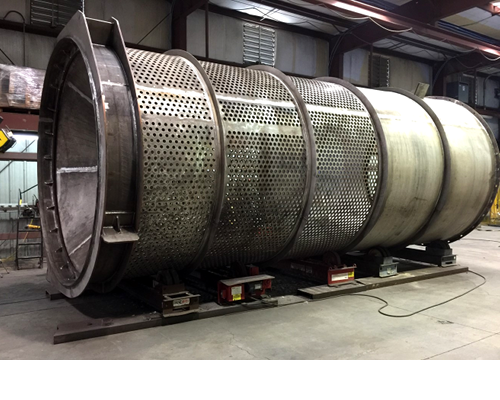 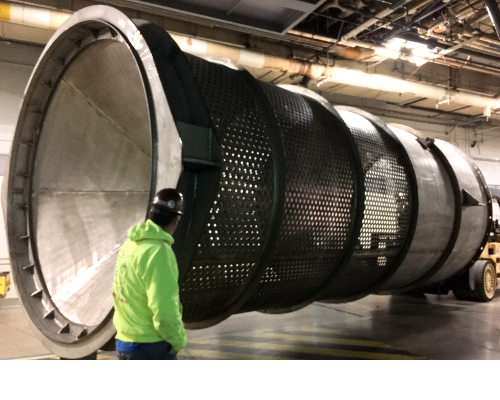 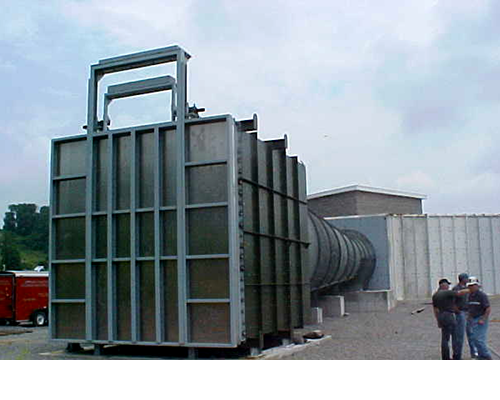 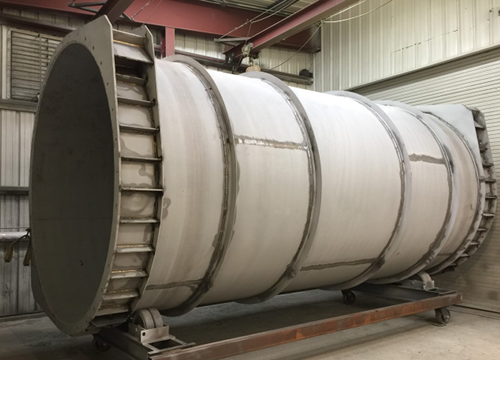 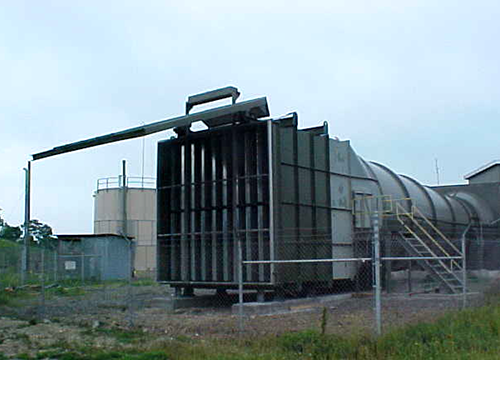 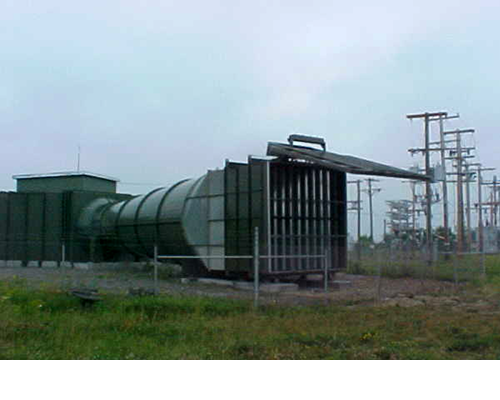 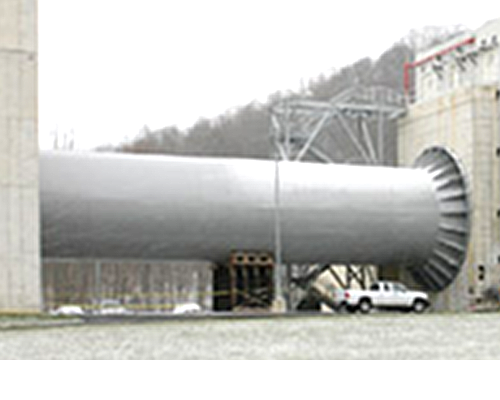 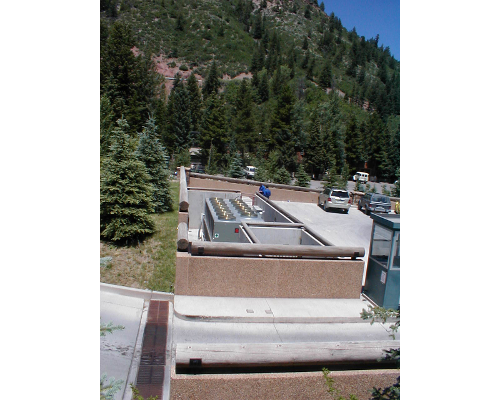 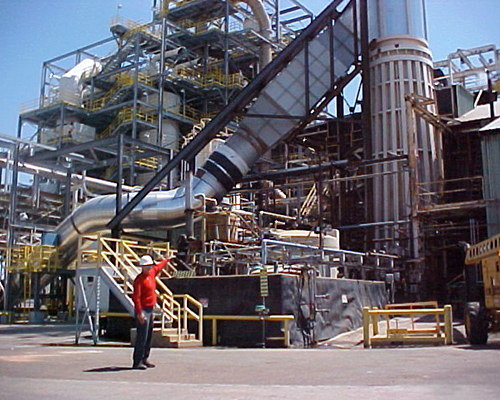 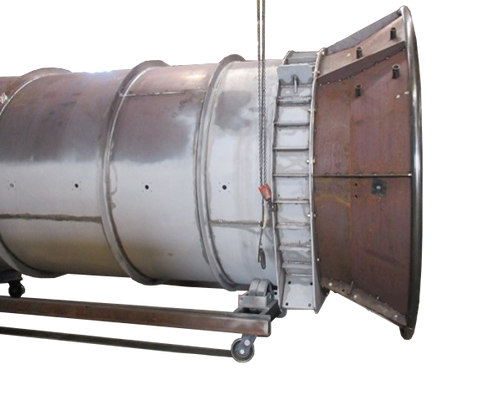 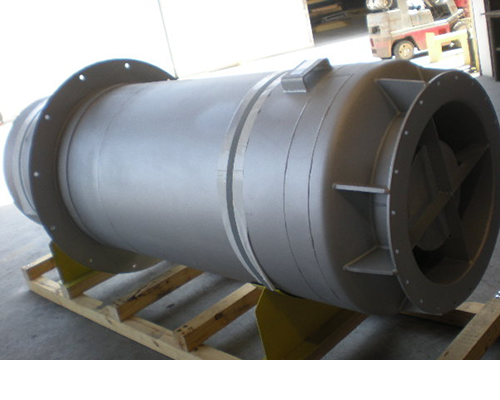 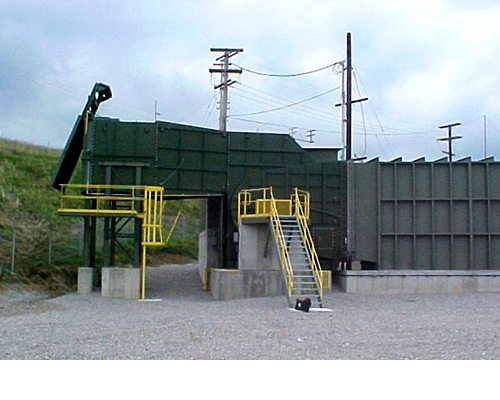 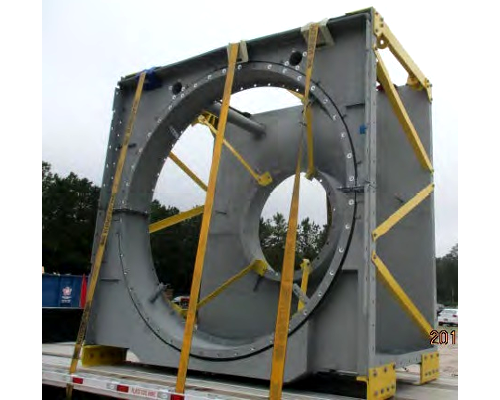 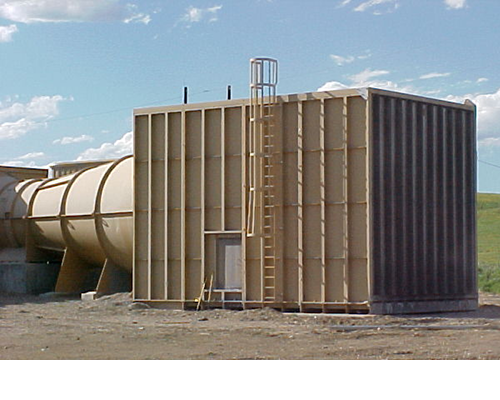 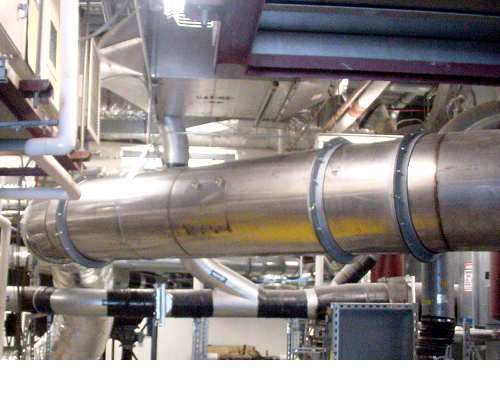 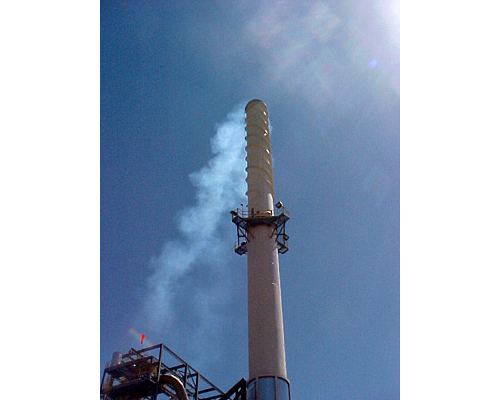 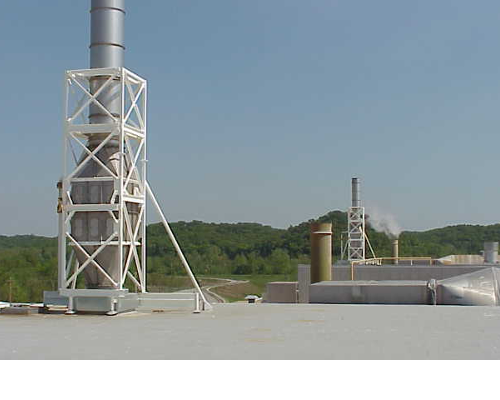 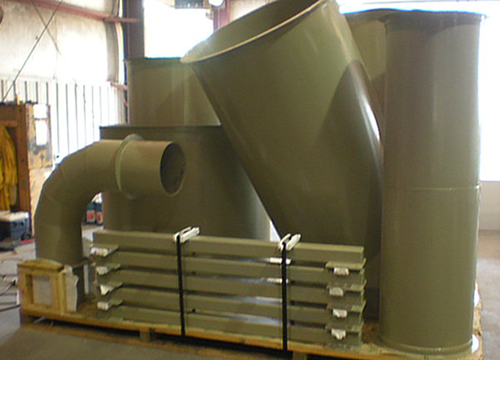 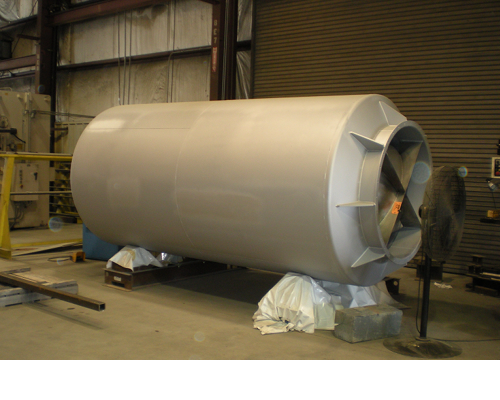 The "Silentflow" Model DF discharge silencer is designed to be used when the fan inlet is connected to the process but discharges to atmosphere. 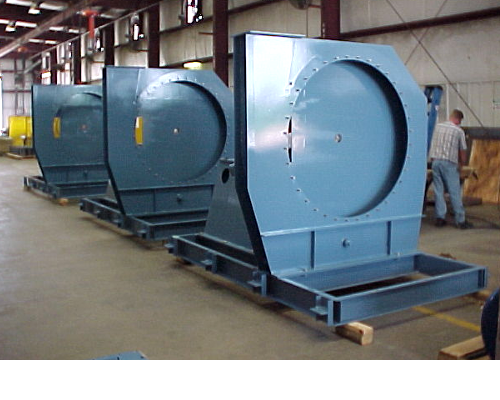 The required silencer is generally larger than the fan discharge connection, in which case a transition may be purchased to connect the silencer to the fan. 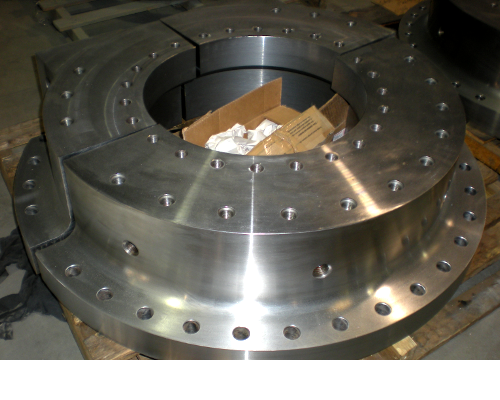 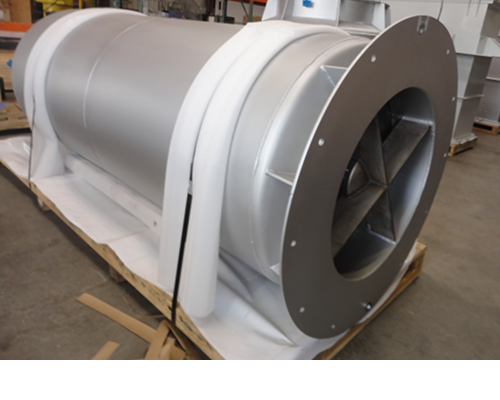 "Silentflow" Model CI inlet silencer is designed to bolt directly to the fan inlet flange. 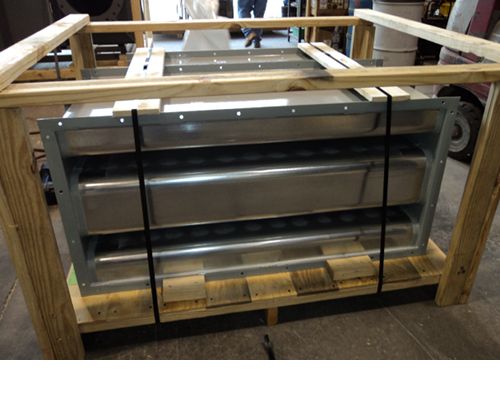 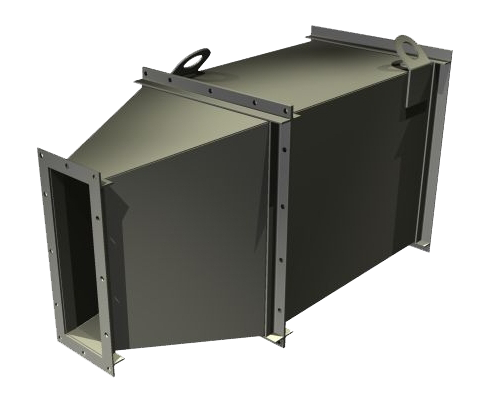 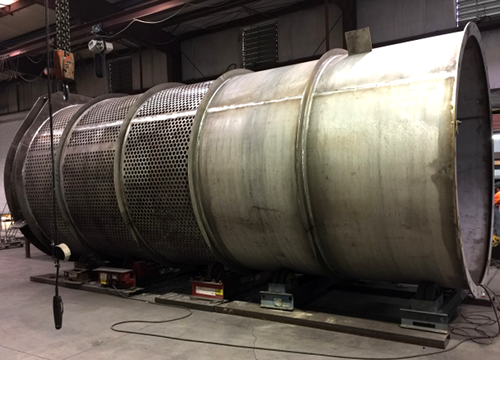 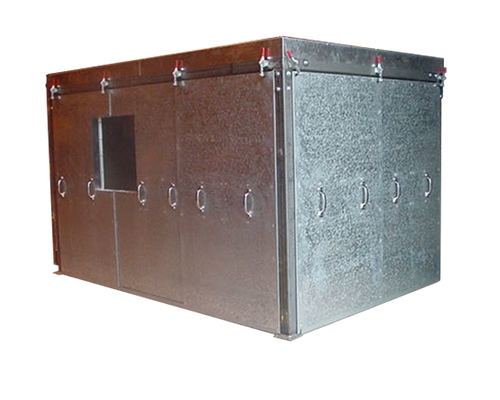 The silencer includes a silencing section followed by a plenum section with one or two access doors for installation and inspection. 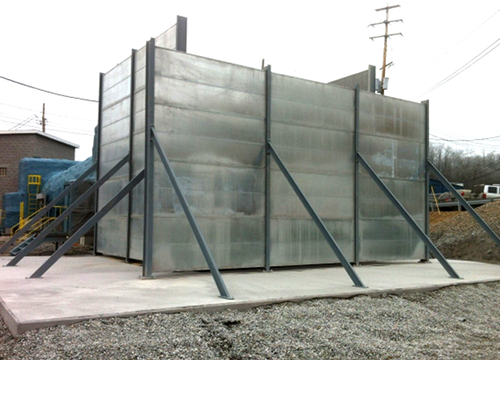 A 1" x 1" galvanized mesh inlet screen is included at no additional cost. 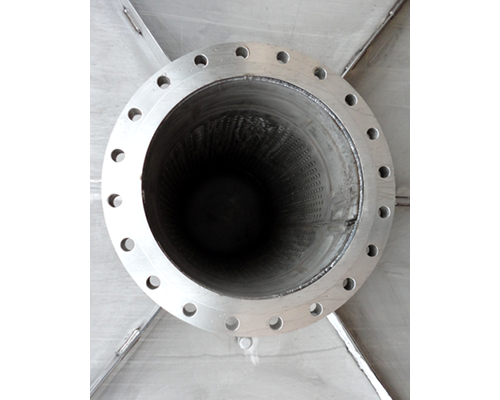 The "Silentflow" Model SI inlet silencer is designed to bolt directly to the fan inlet flange. 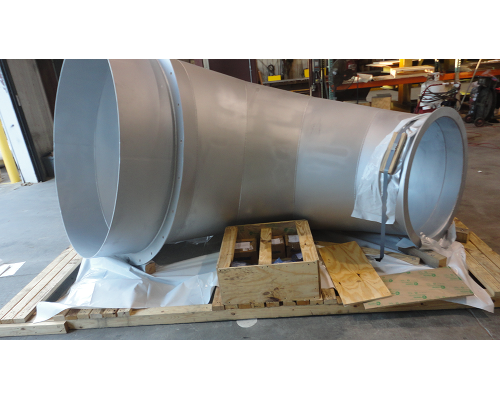 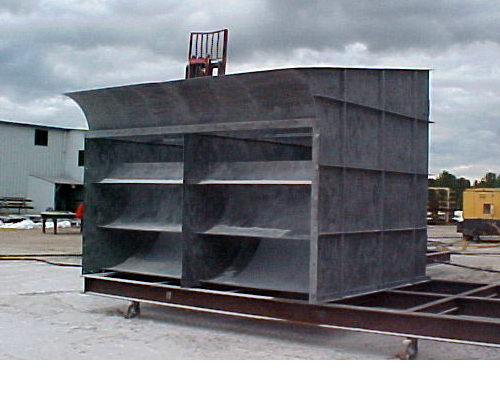 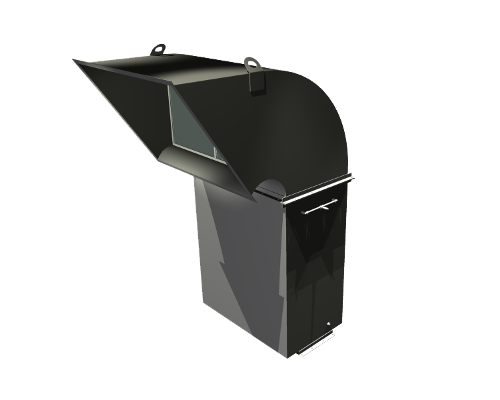 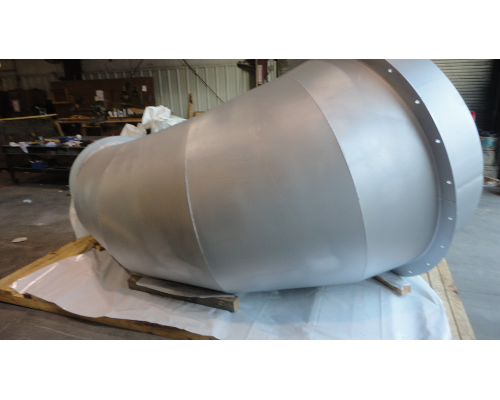 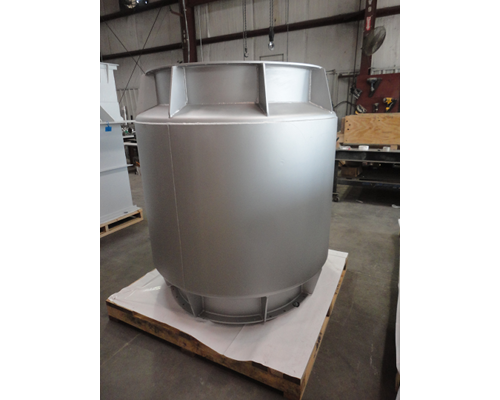 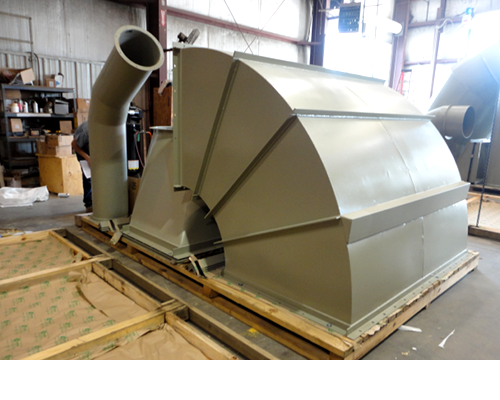 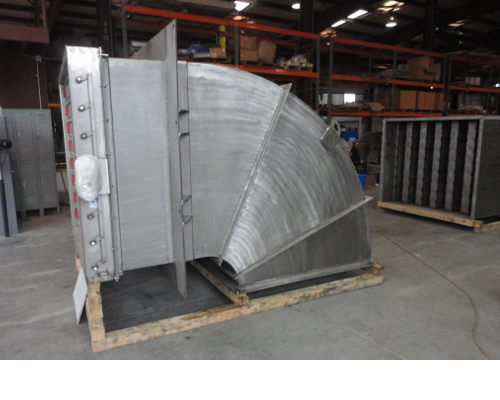 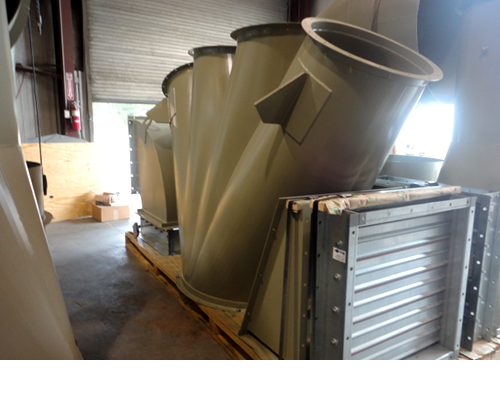 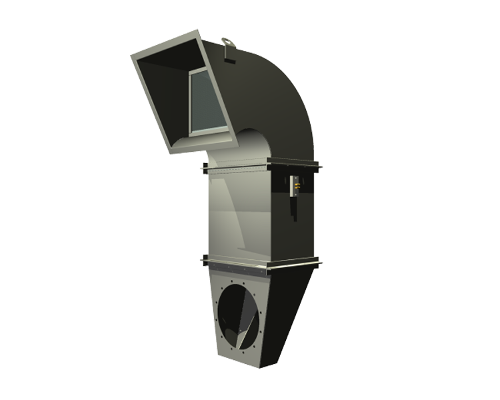 The silencer includes a silencing section followed by a plenum section large enough to accommodate the fan inlet opening. 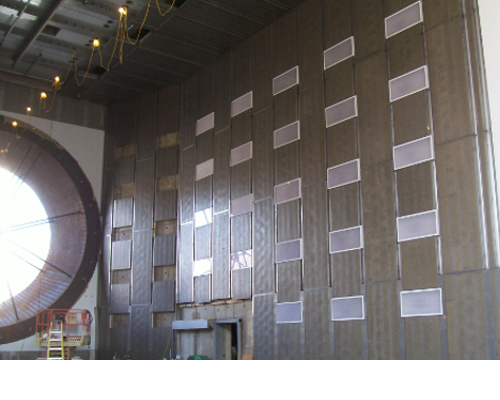 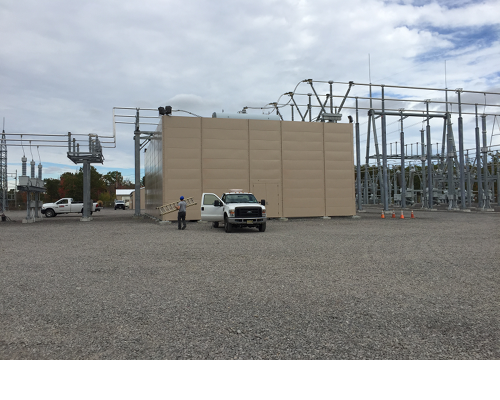 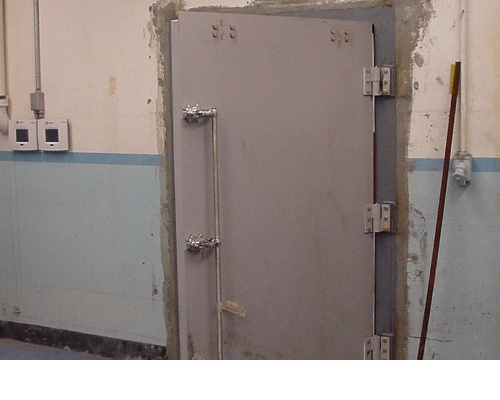 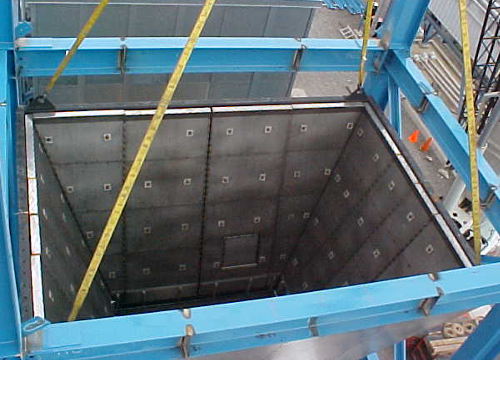 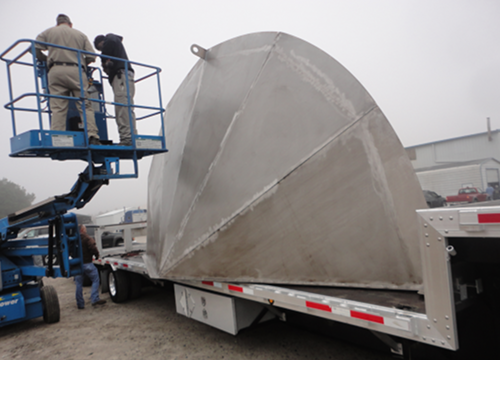 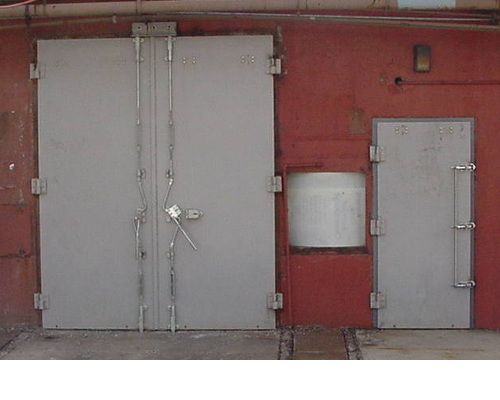 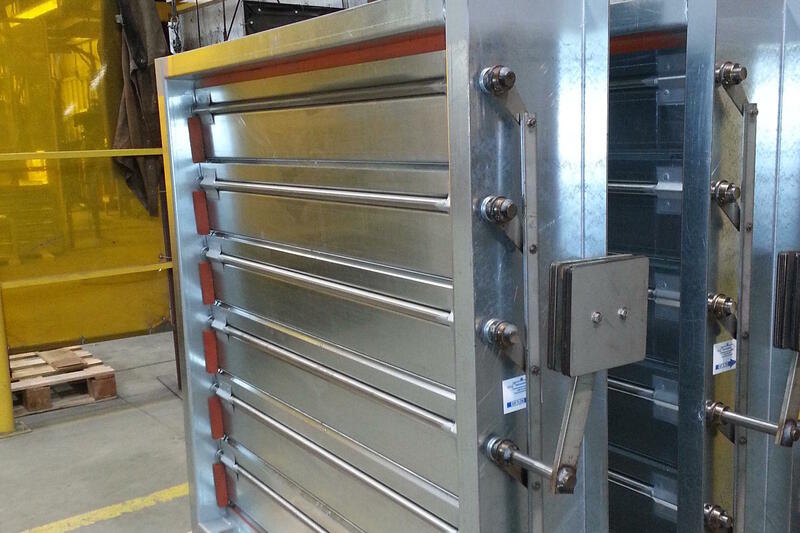 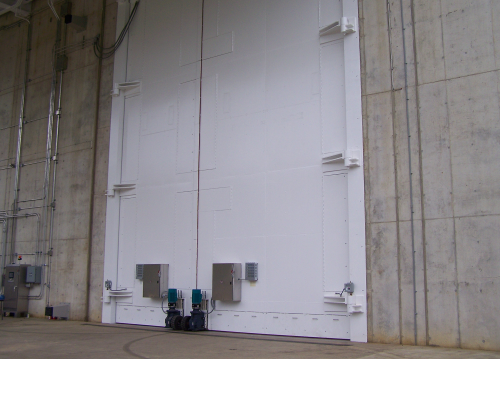 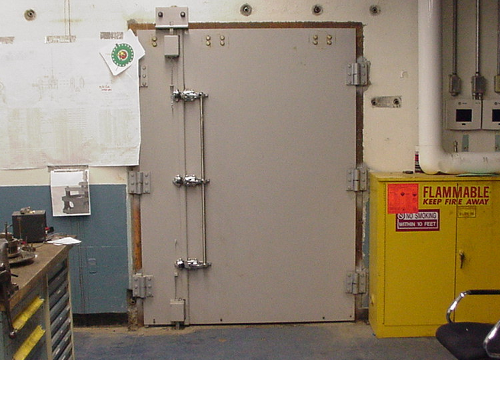 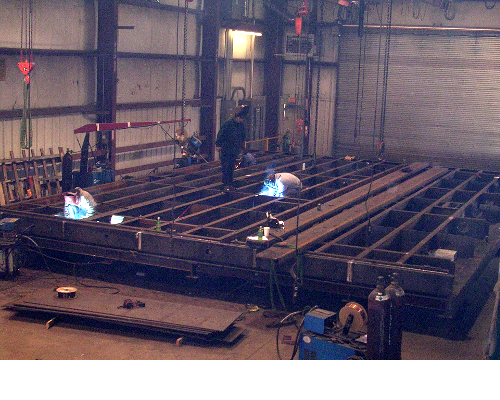 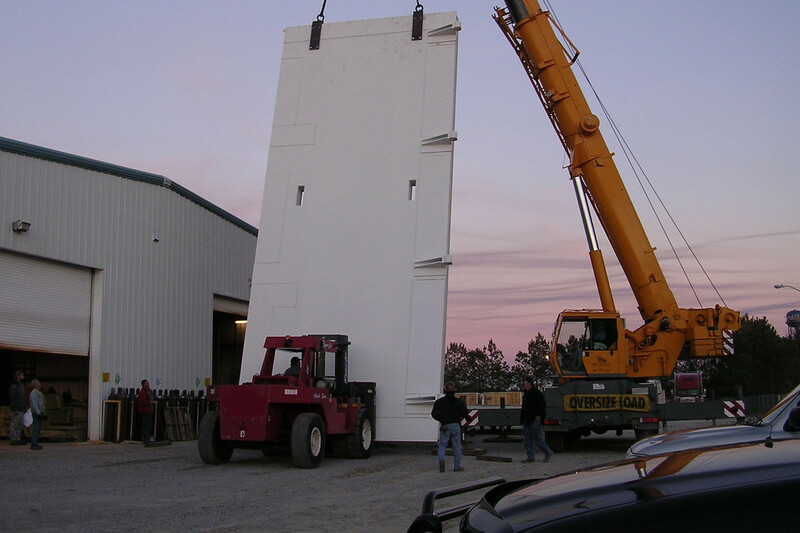 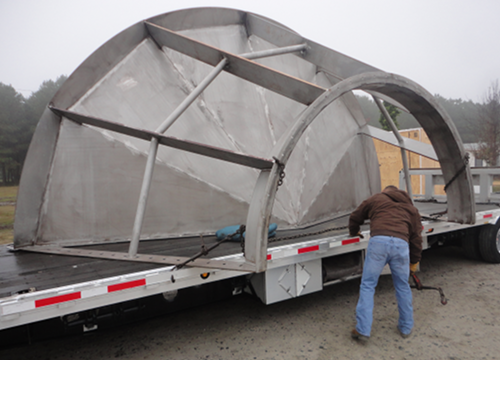 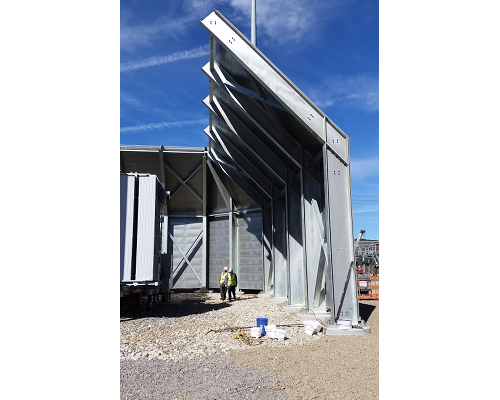 One or two access doors are incorporated into the back of the plenum for installation and inspection. 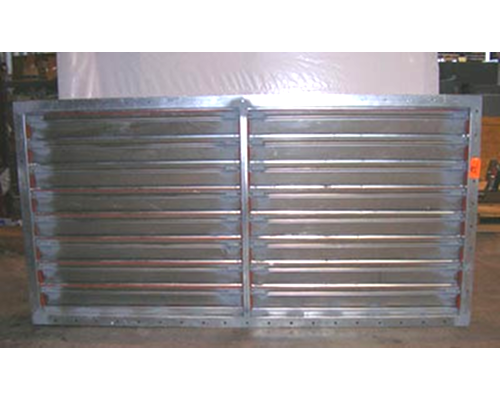 A 1" x 1" galvanized mesh inlet screen is included at no additional cost. 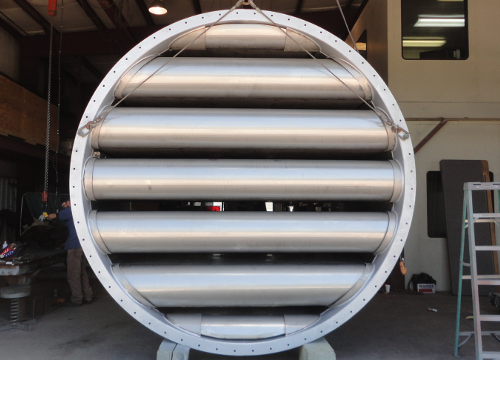 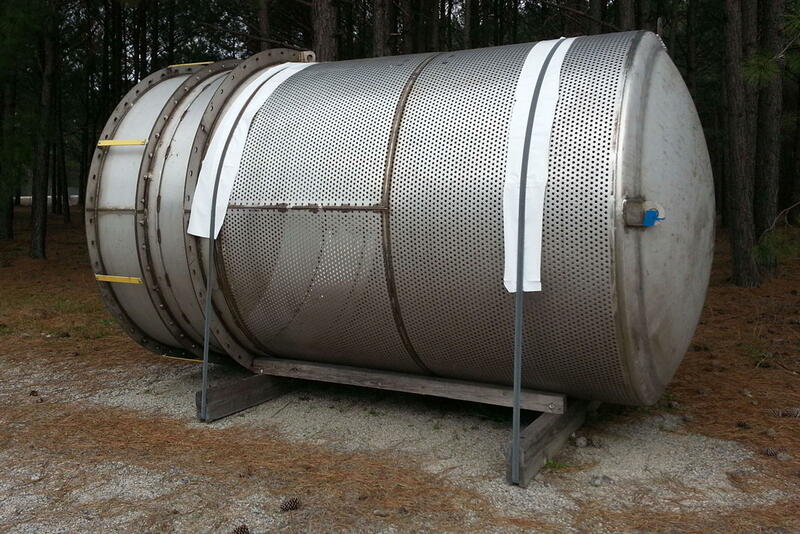 The "Silentflow" Tubular silencer is used where noise reduction is needed combined with a very low pressure drop. 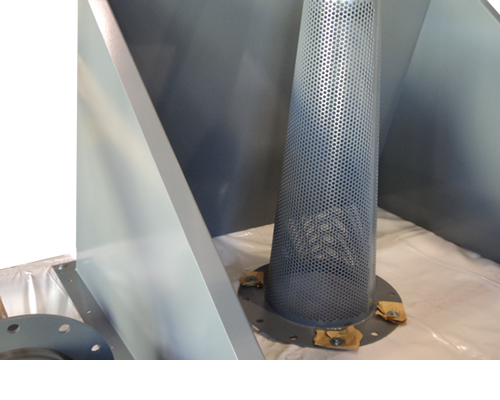 It is designed to bolt directly to the fan, but can be combined with a round-to-round transition to allow the fan to attach to larger tubular silencers. 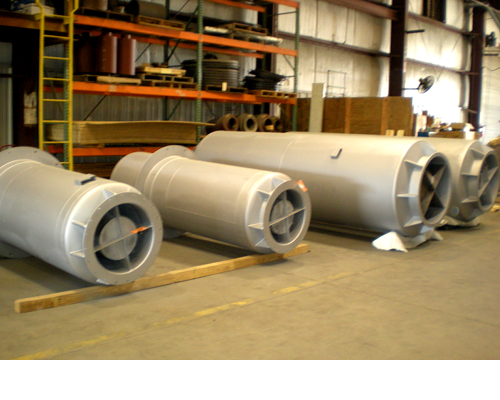 Where necessary, certain models of the Tubular silencer are outfitted with centerbodies to further improve performance of sound attenuation. 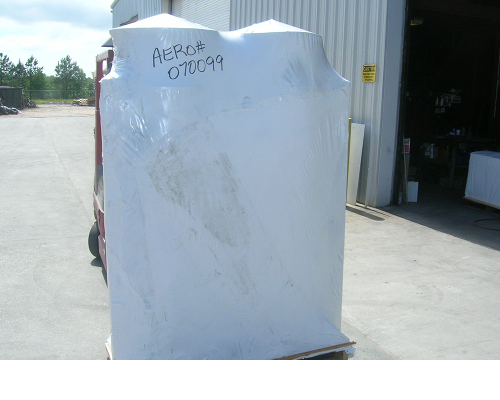 At Aeroacoustic, our objective is to provide products and services that fulfill all customer requirements on time and within budget. 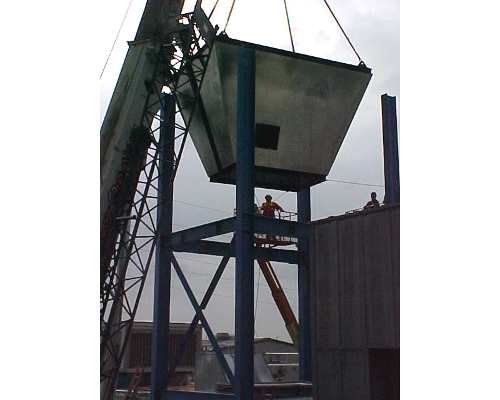 We shall continually improve our Quality Management System by addressing risks and opportunities in accordance with the ISO 9001:2015 Standard. 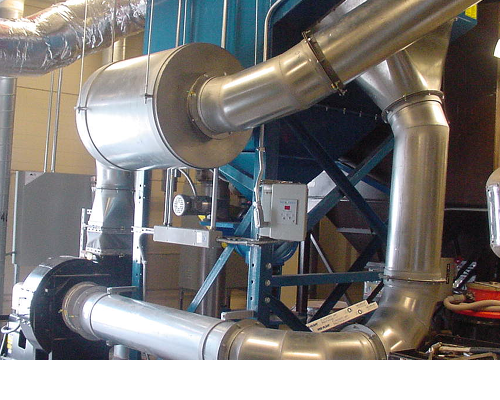 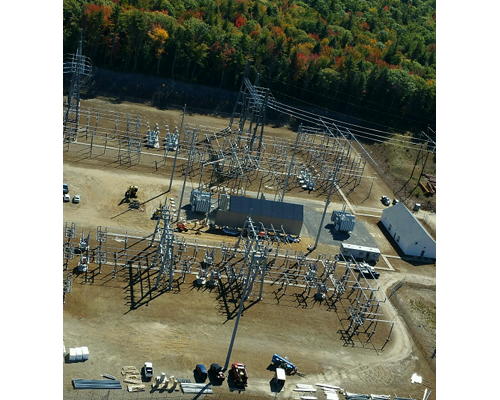 The Aeroacoustic Quality Management System (QMS) governs procedures relating to product design, manufacturing and delivery of noise abatement, ducting, and air control systems. 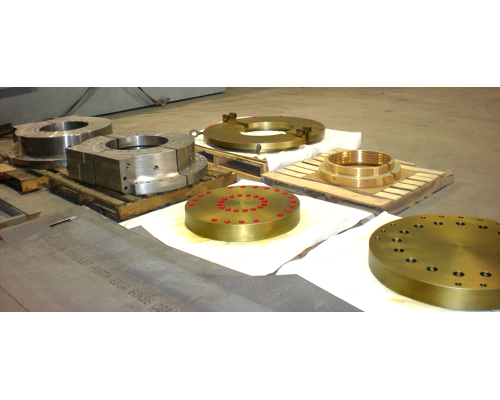 The QMS shall comply with applicable statutory and regulatory specifications, as well as the ISO 9001:2015 standard.